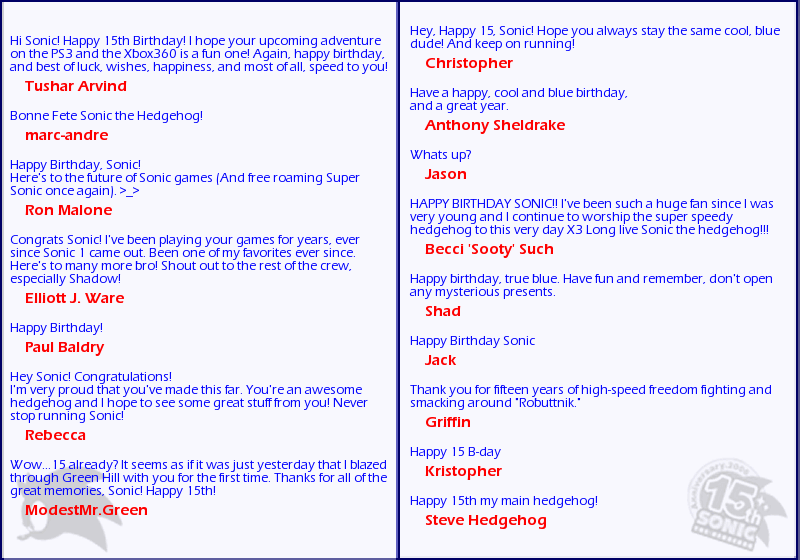 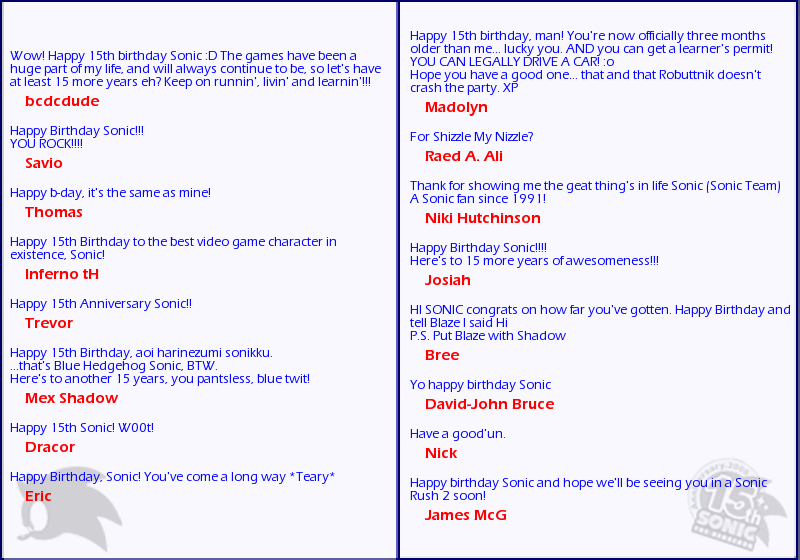 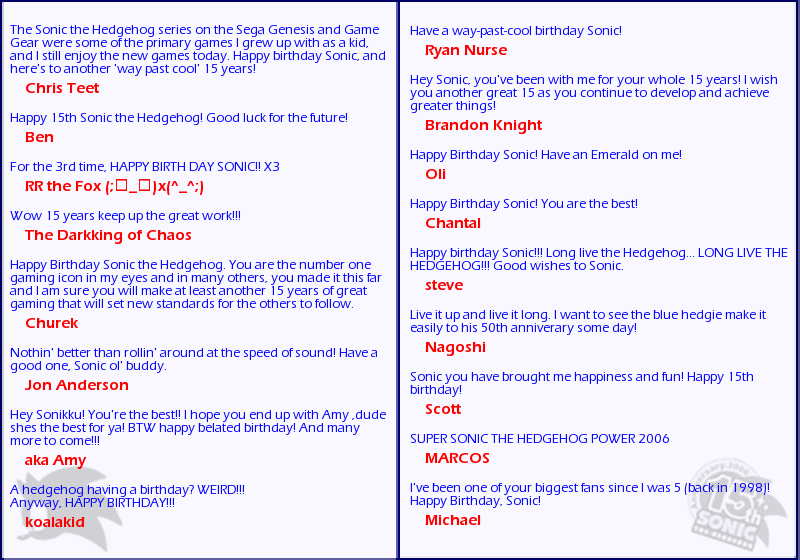 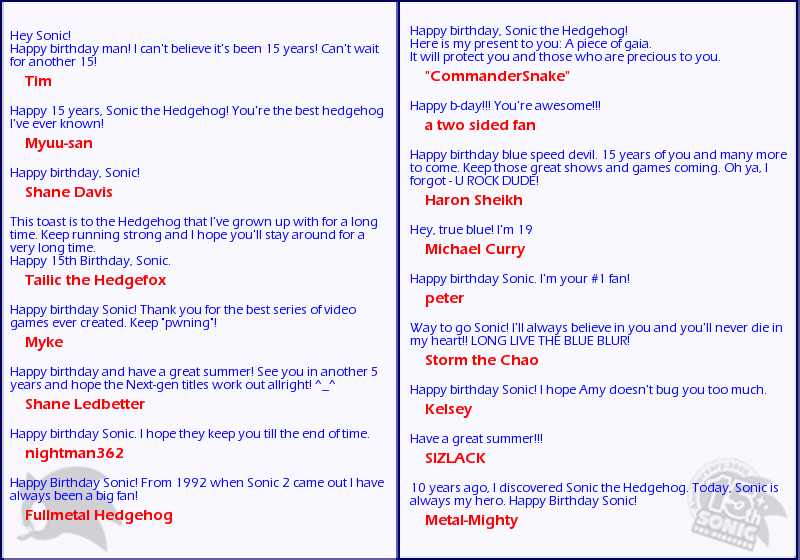 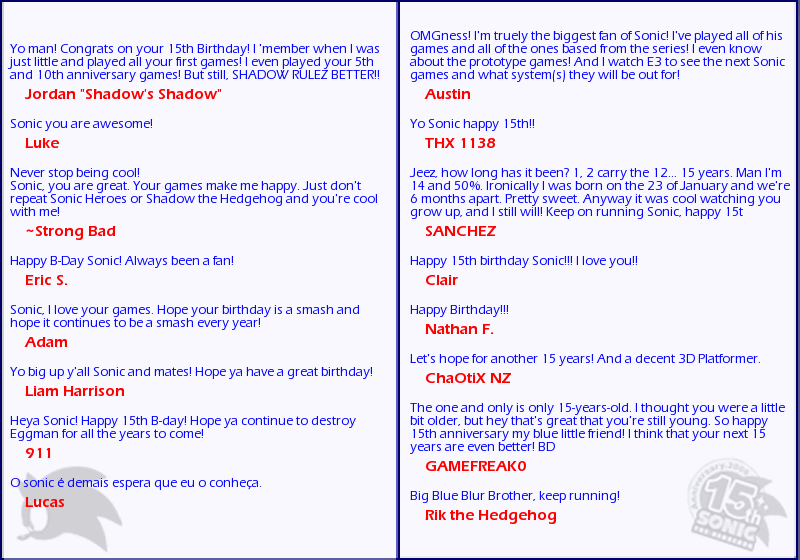 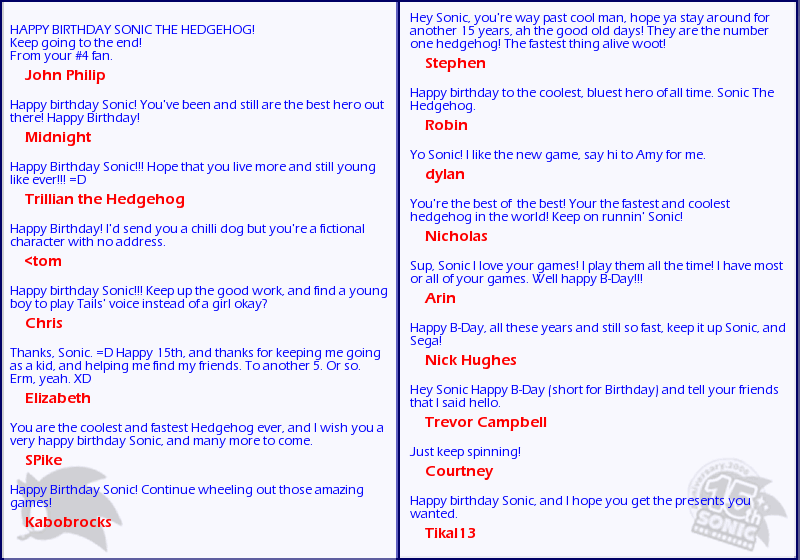 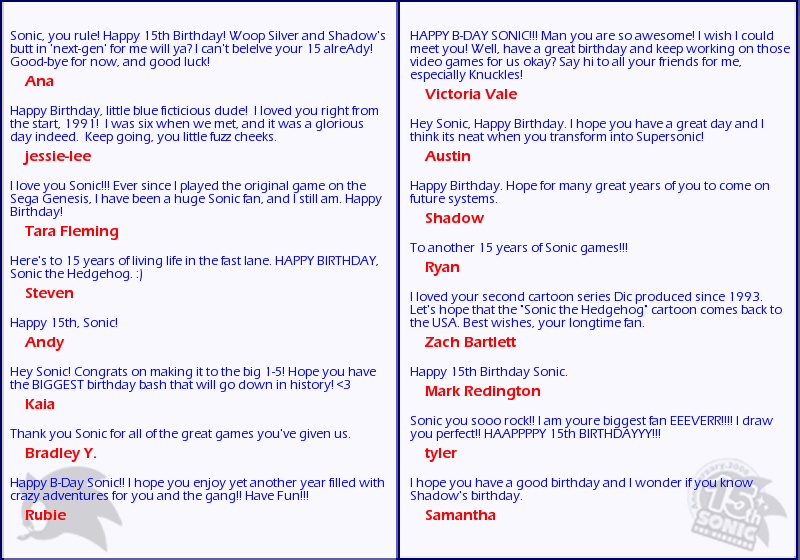 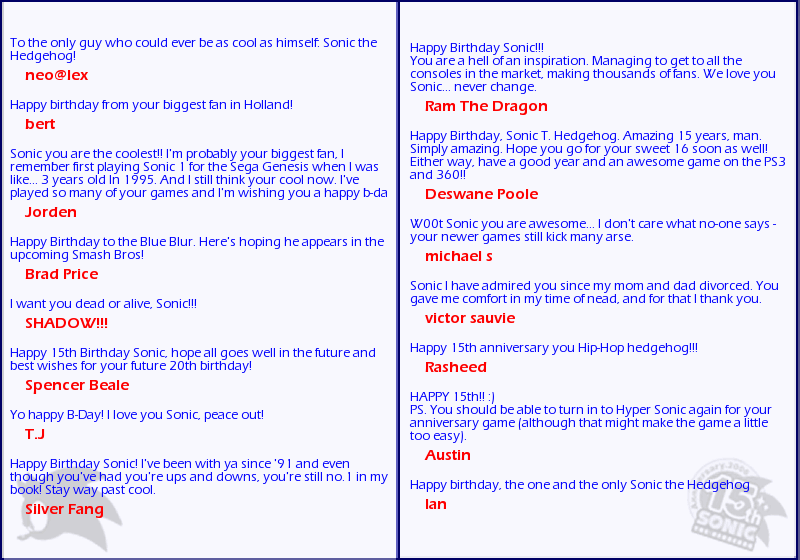 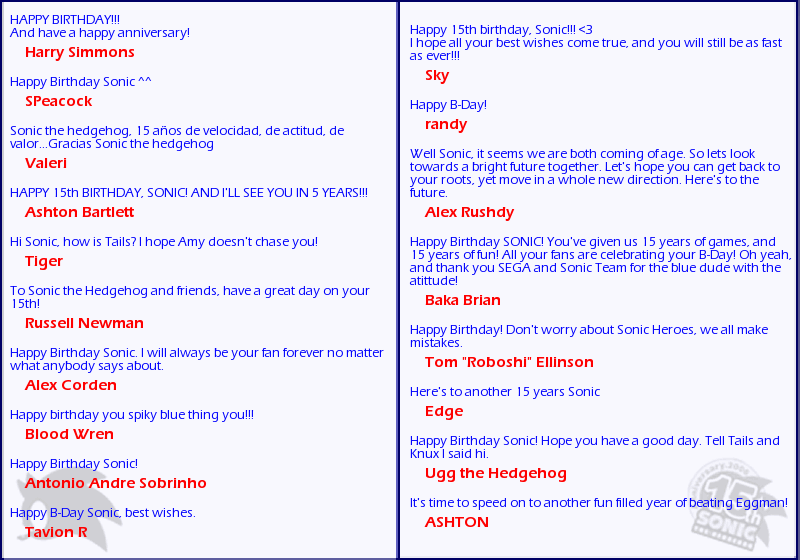 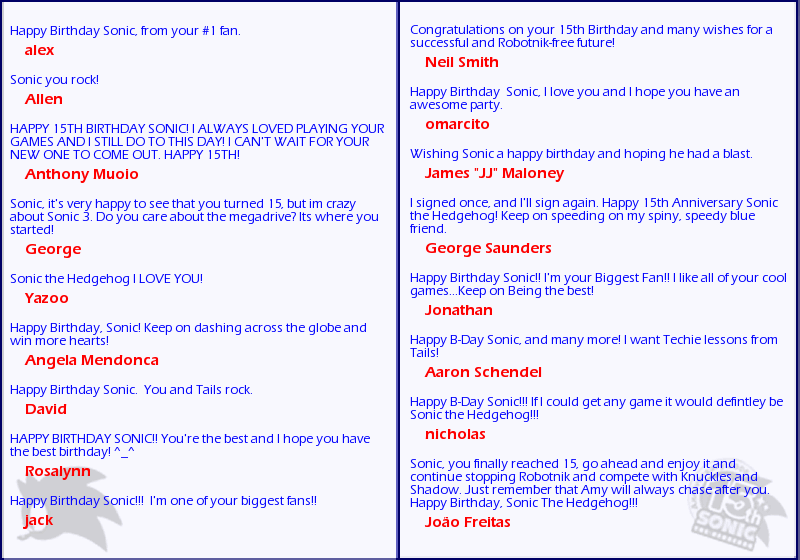 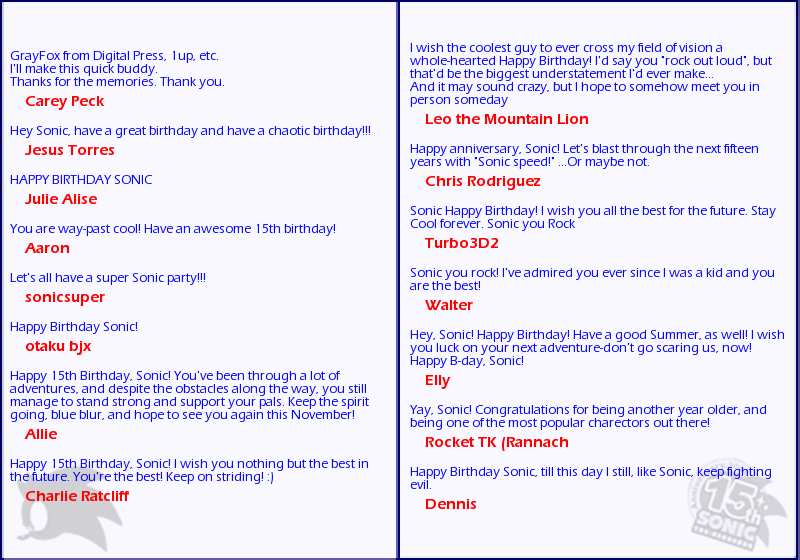 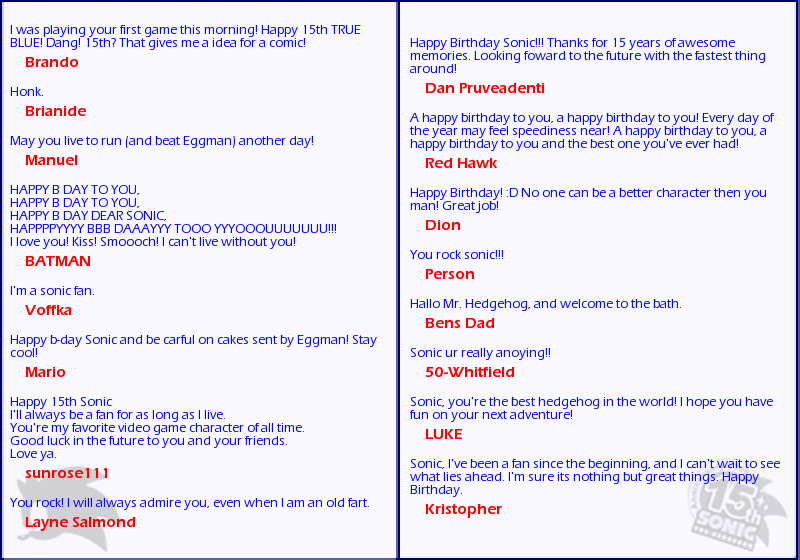 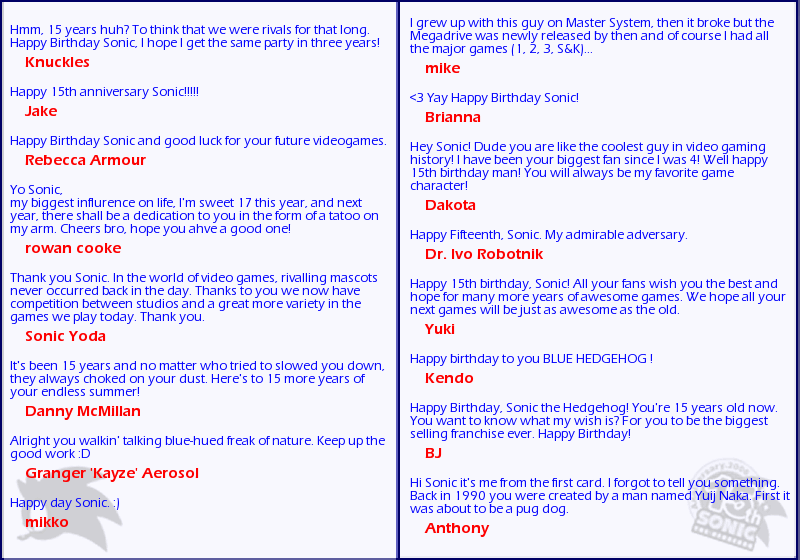 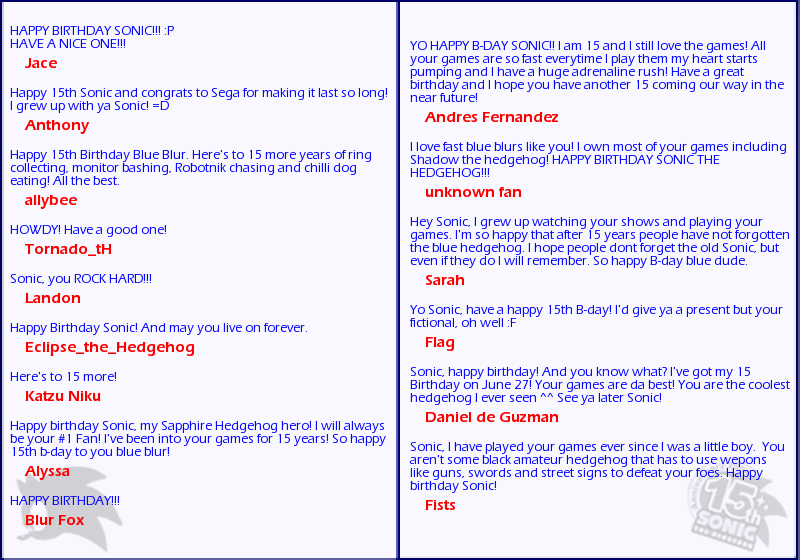 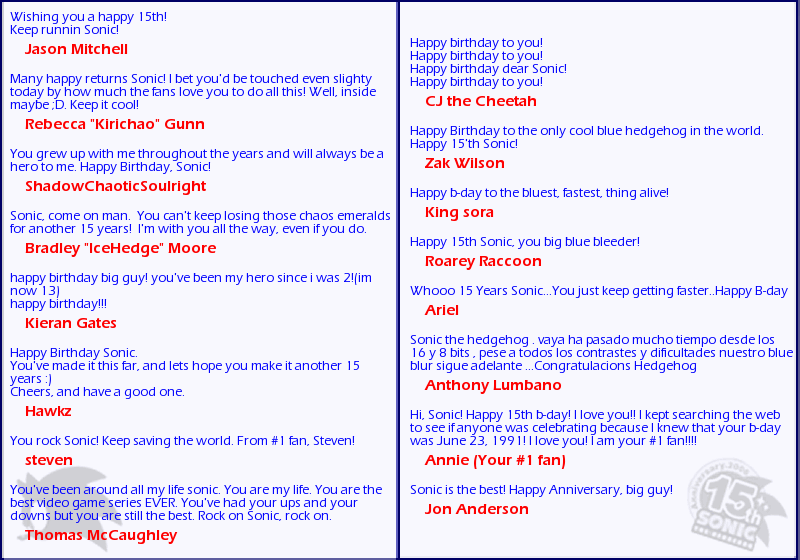 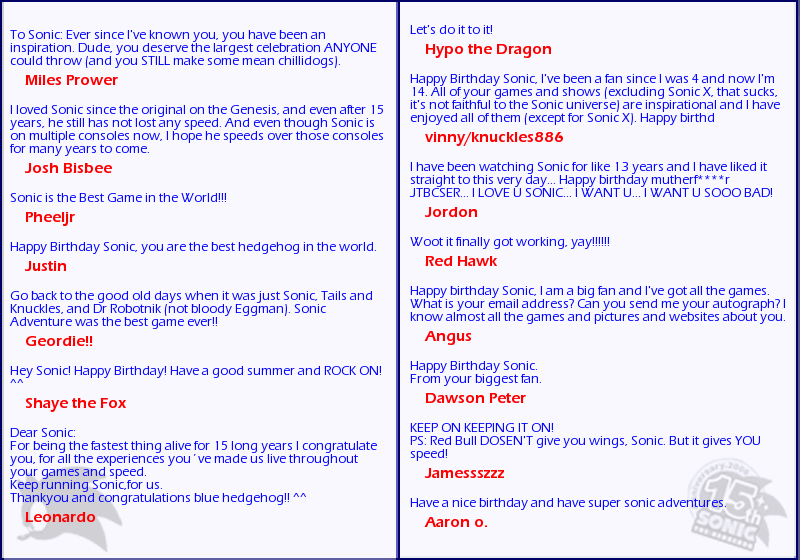 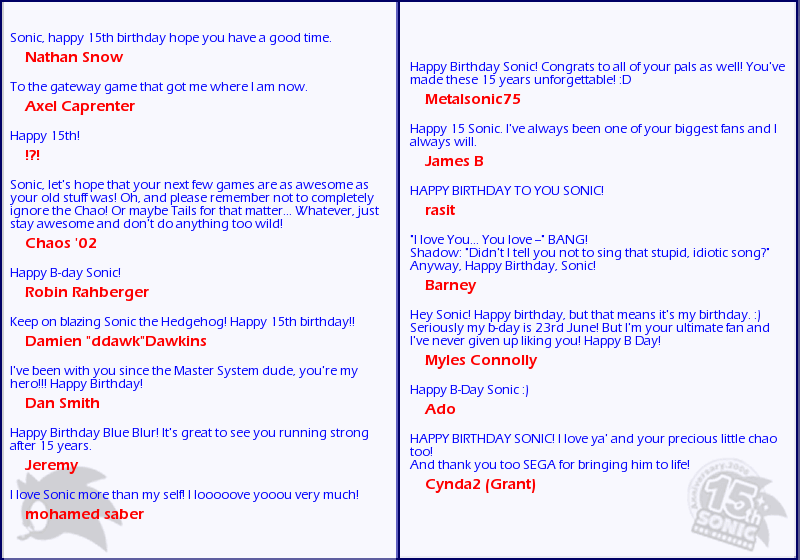 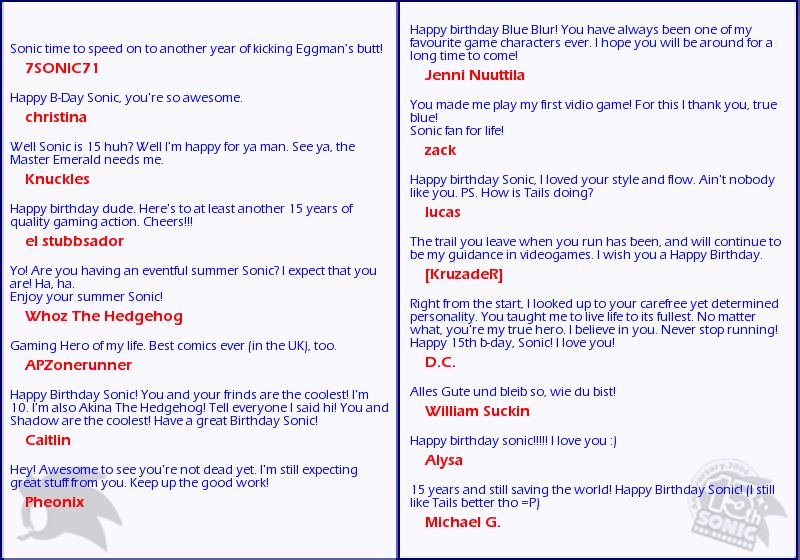 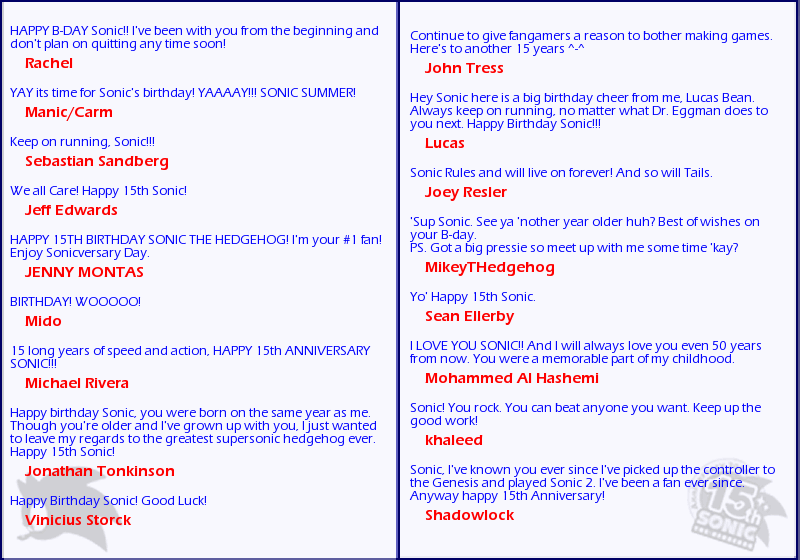 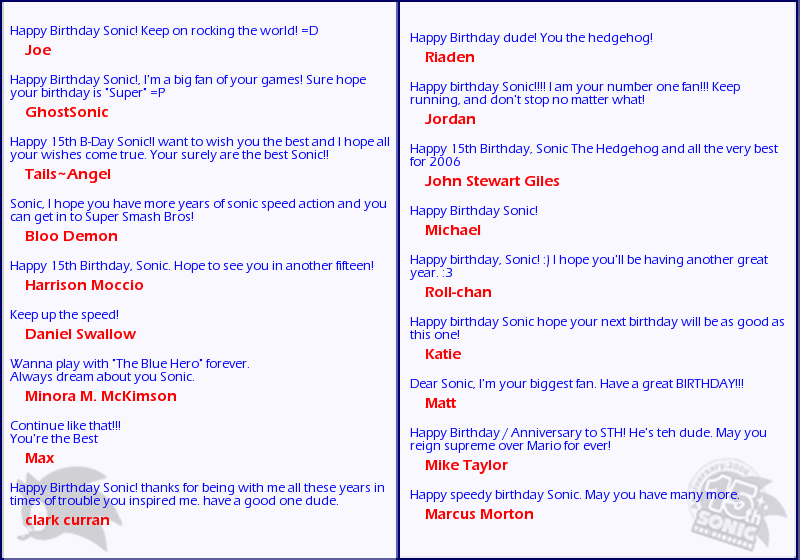 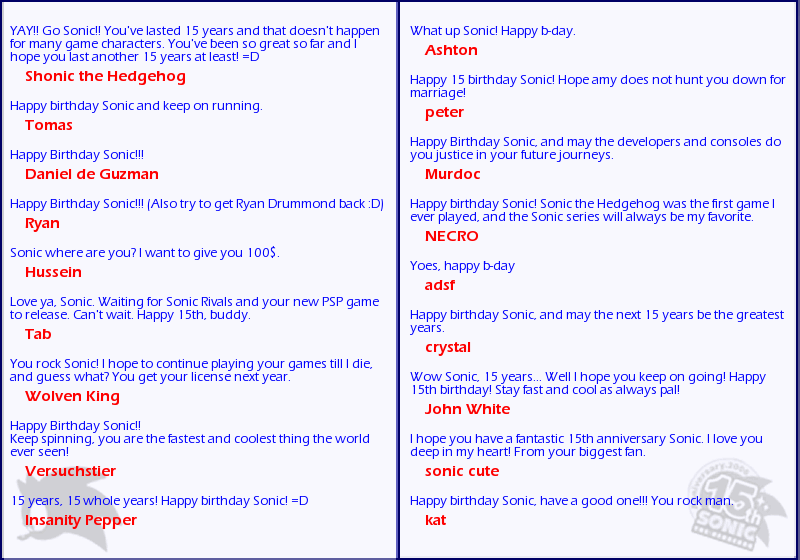 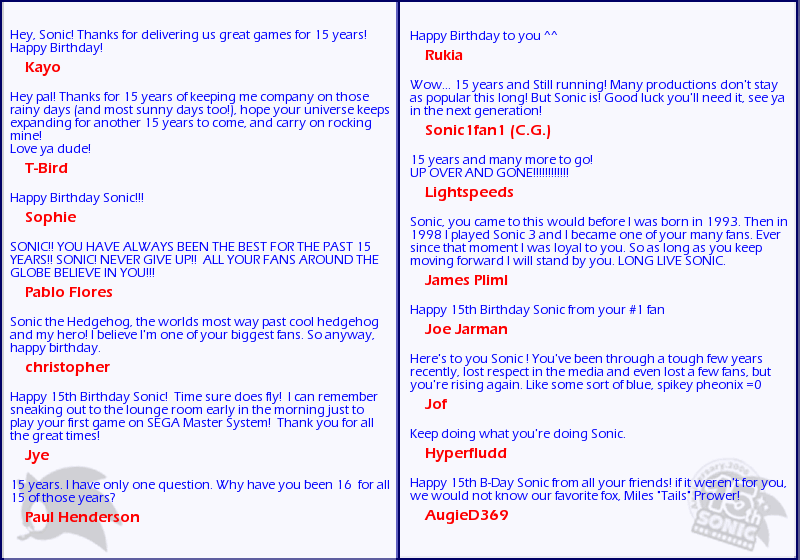 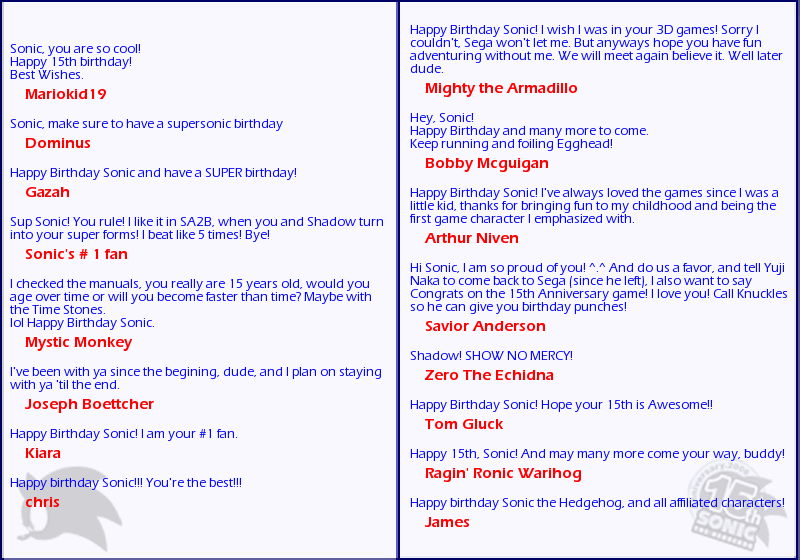 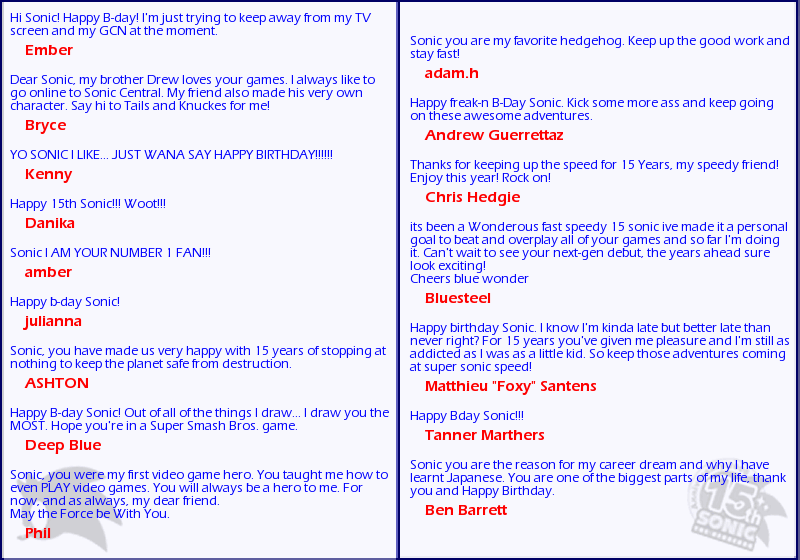 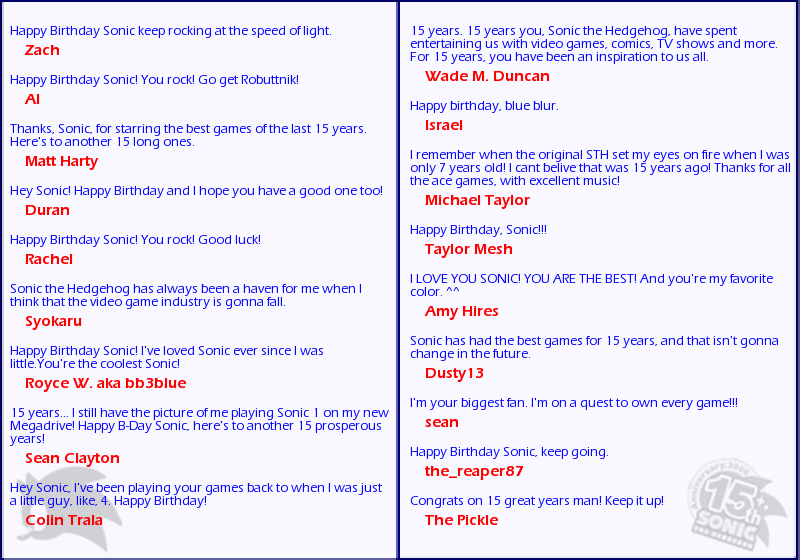 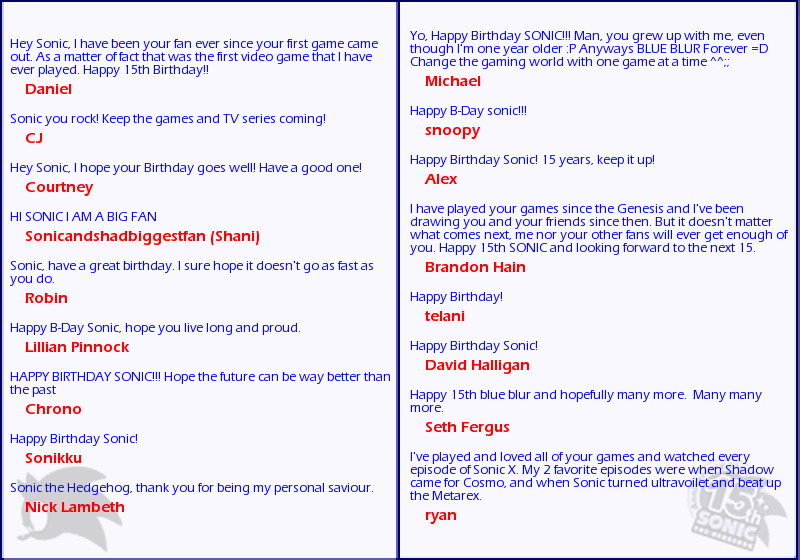 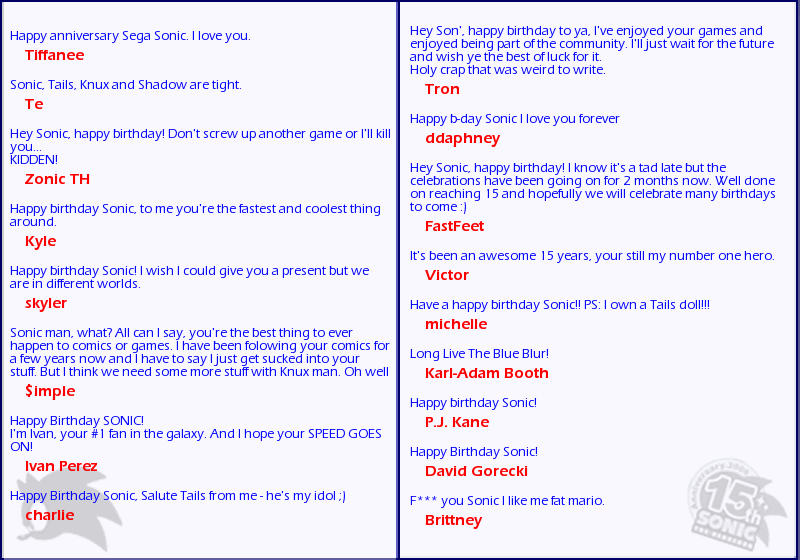 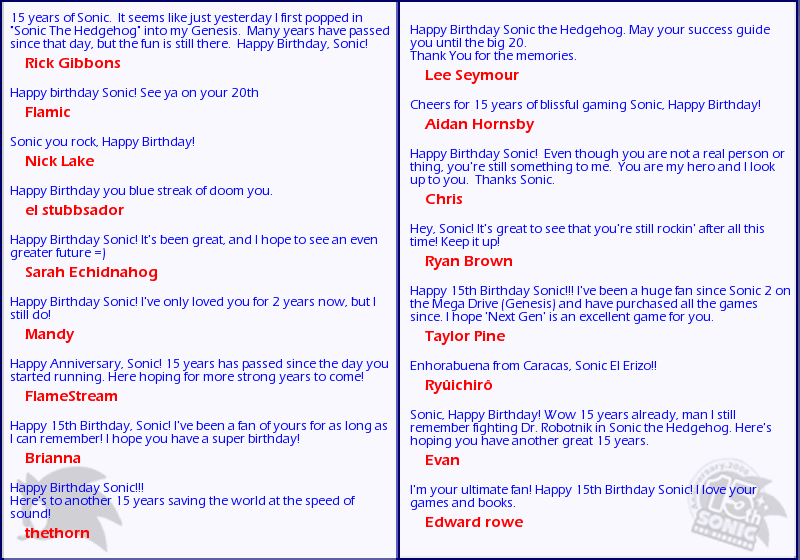 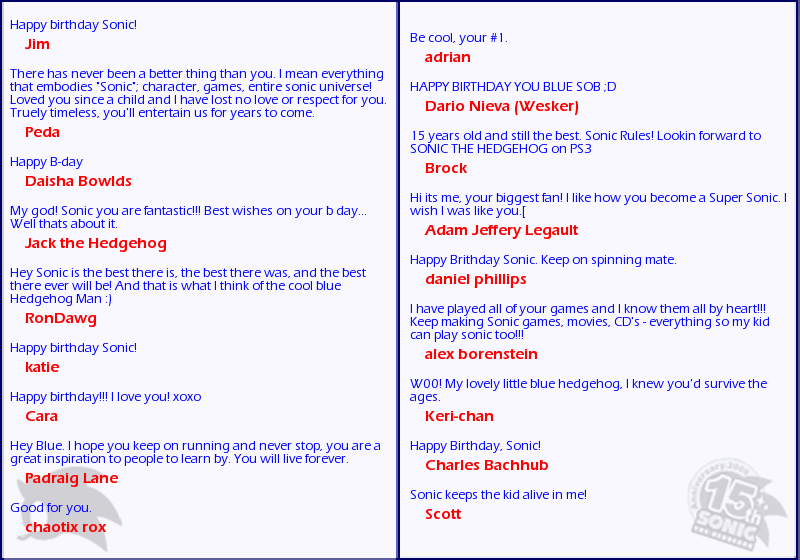 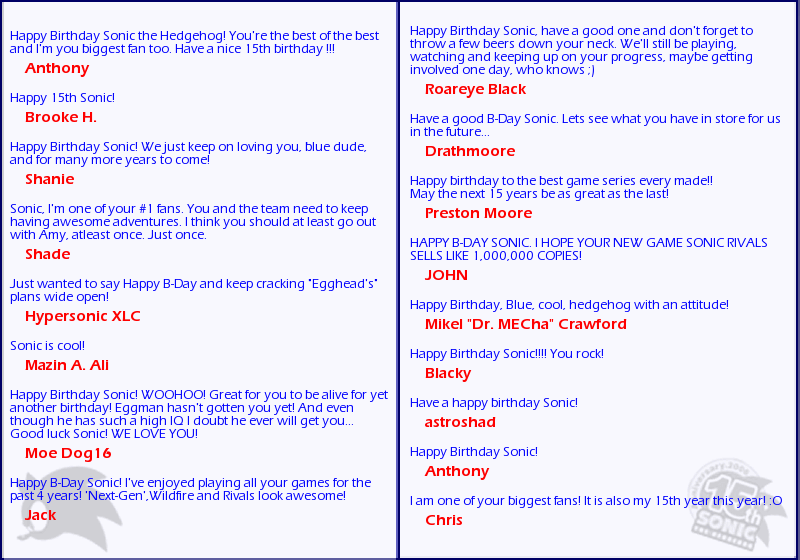 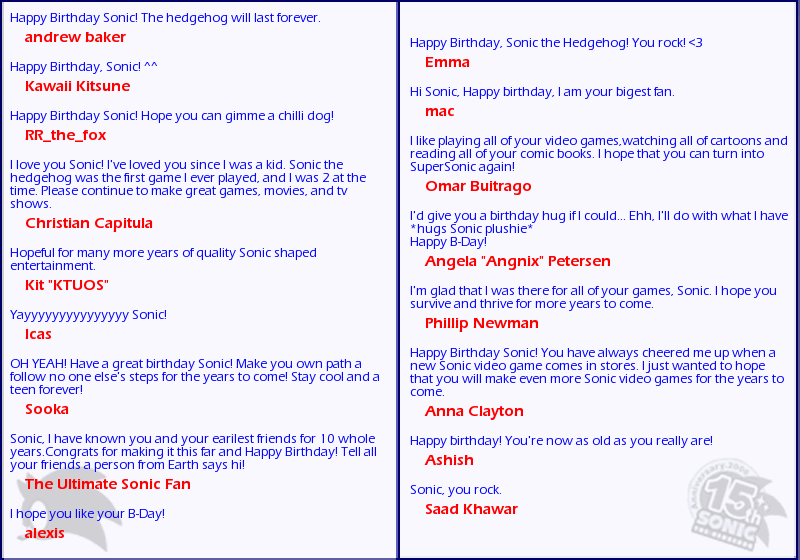 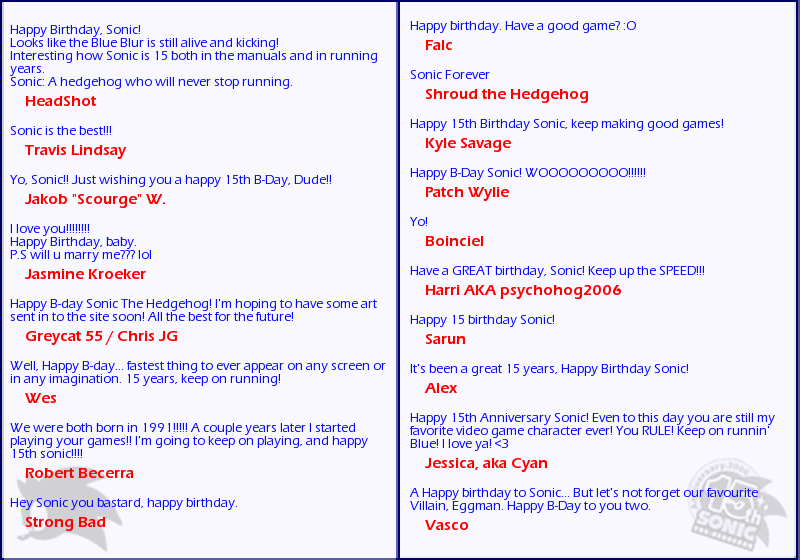 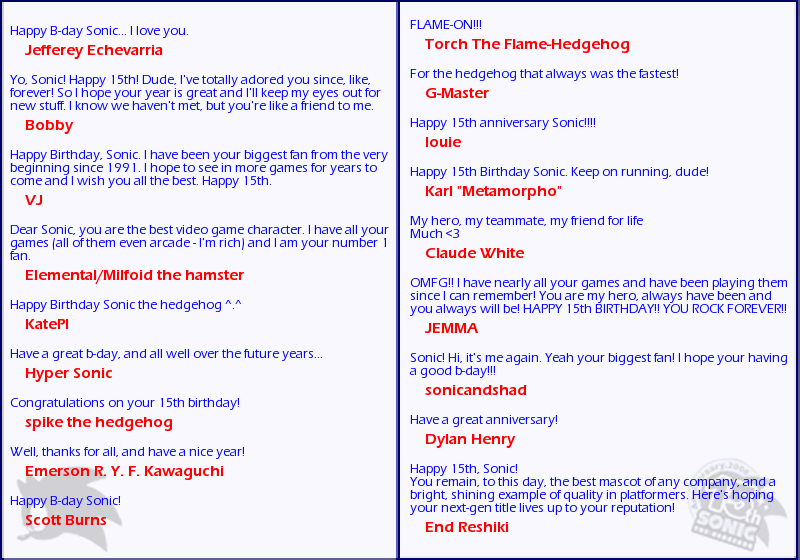 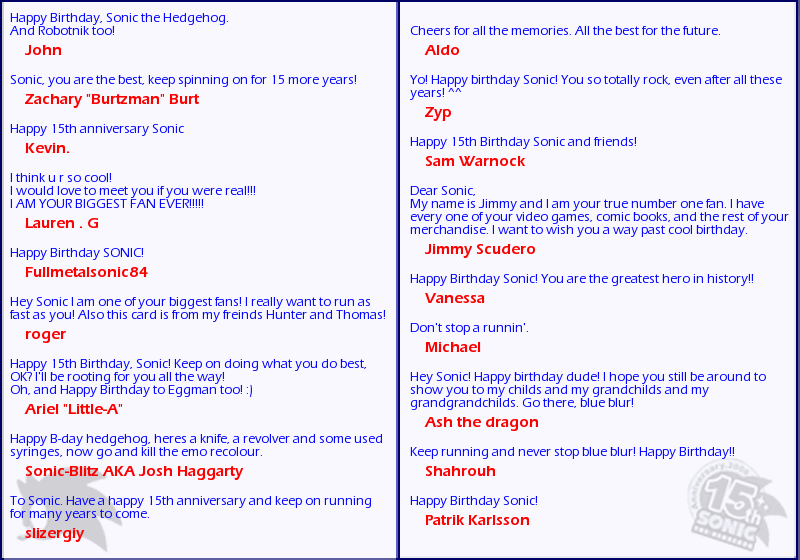 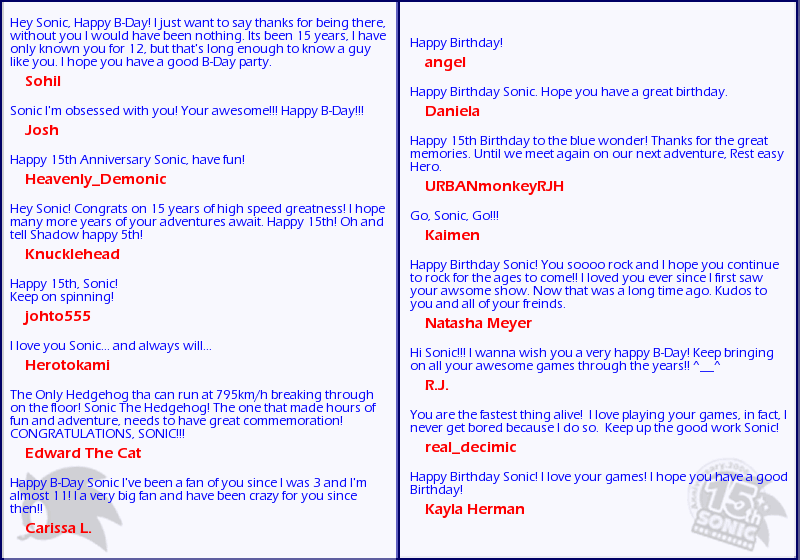 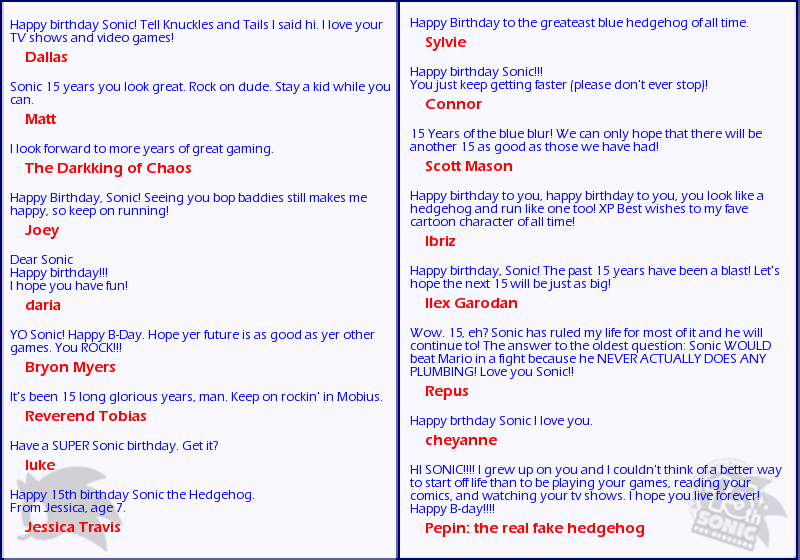 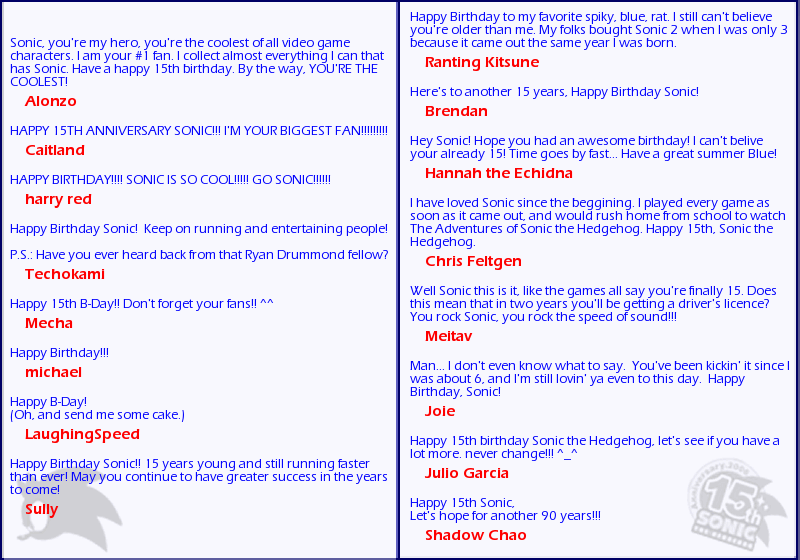 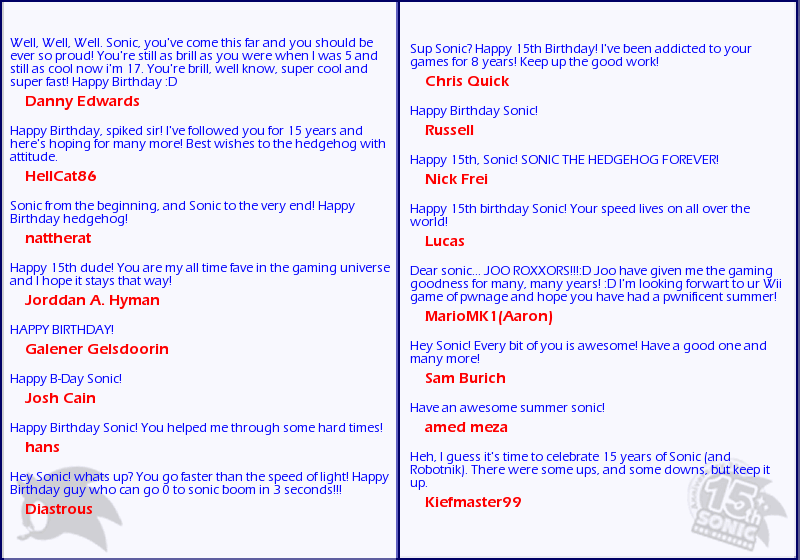 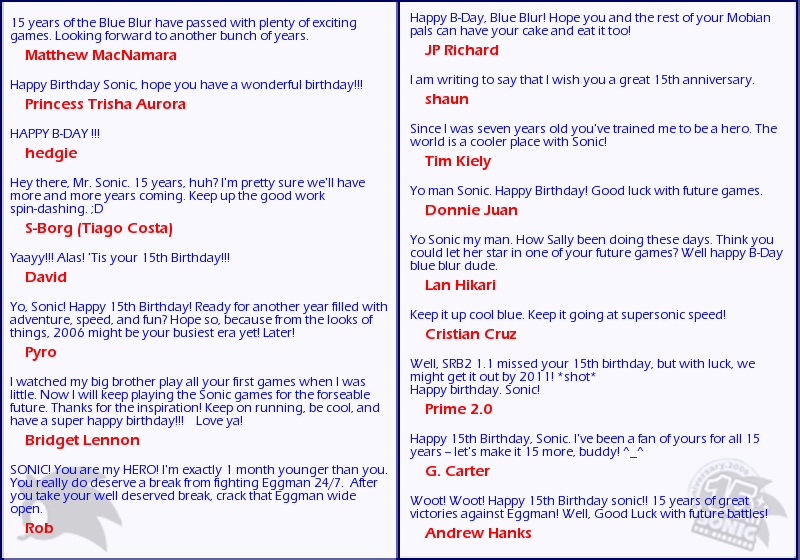 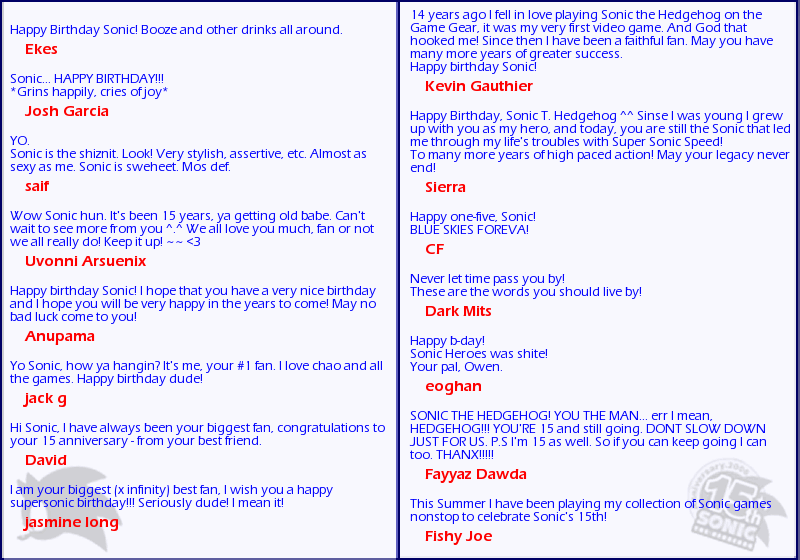 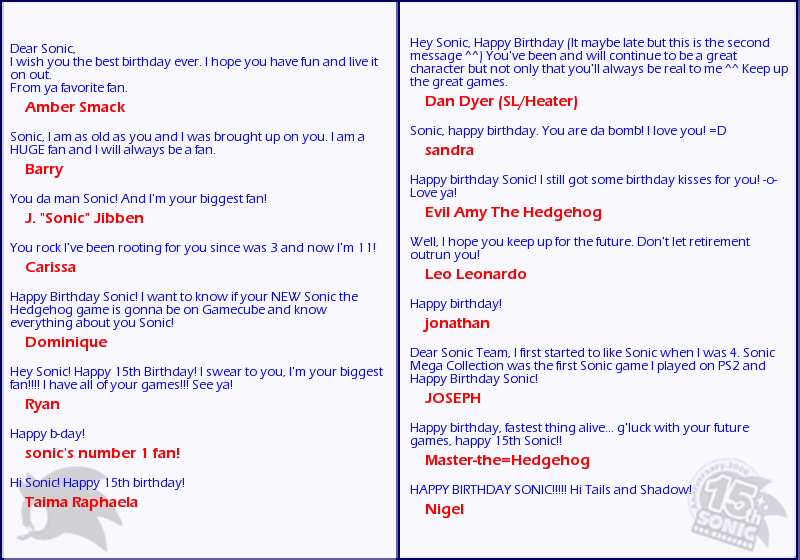 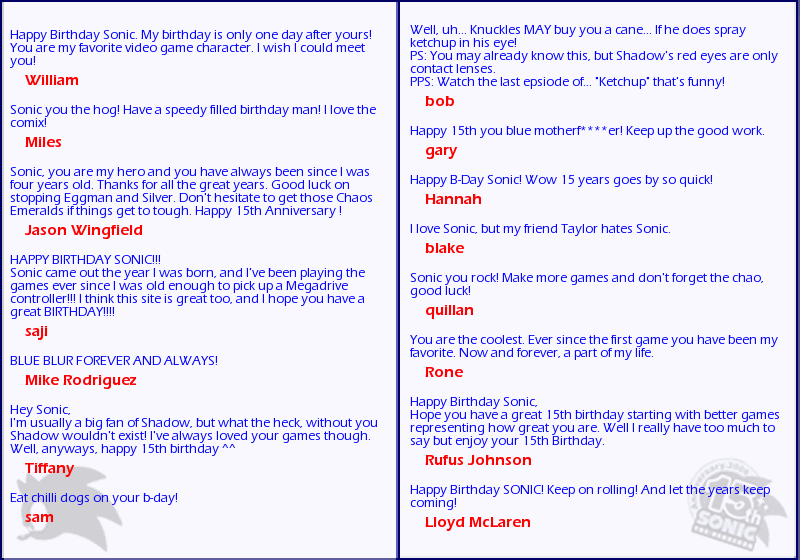 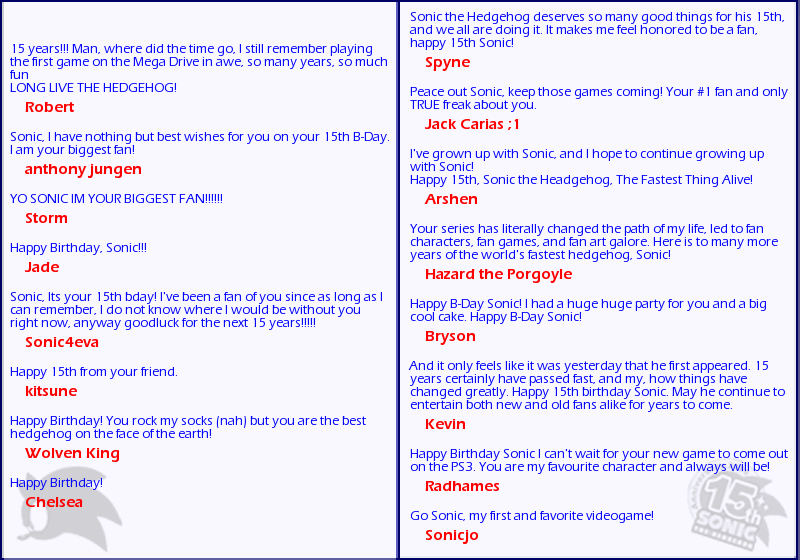 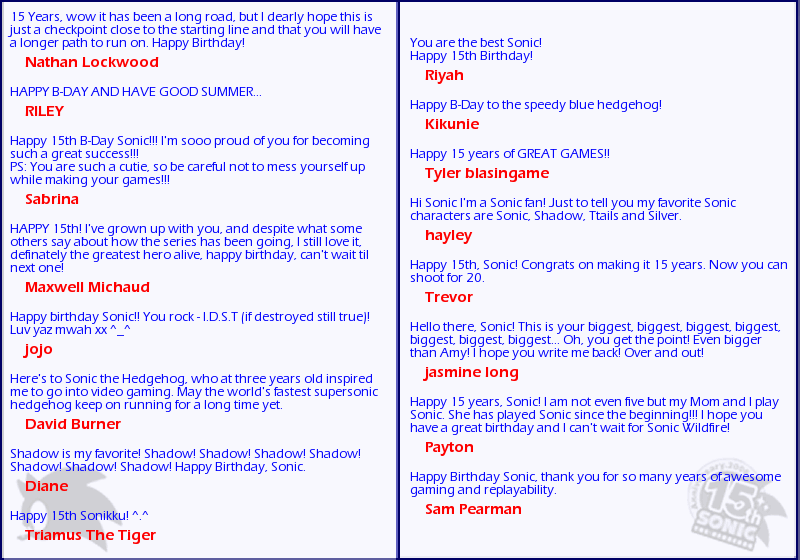 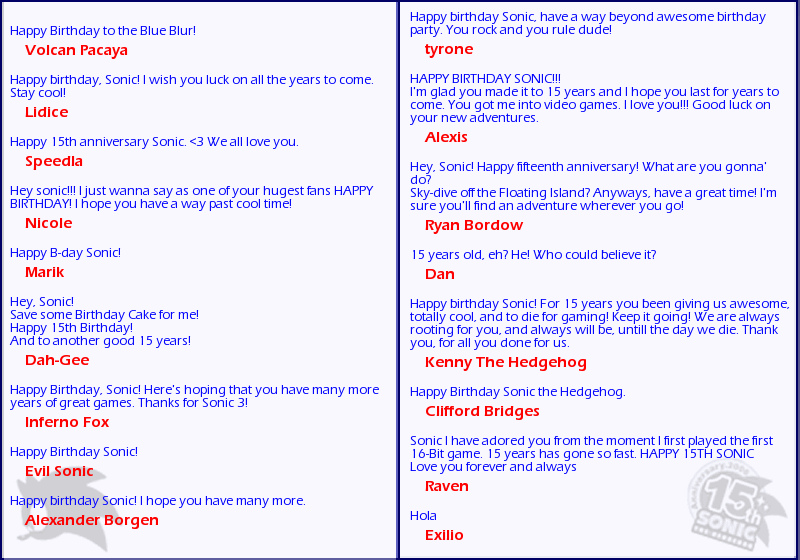 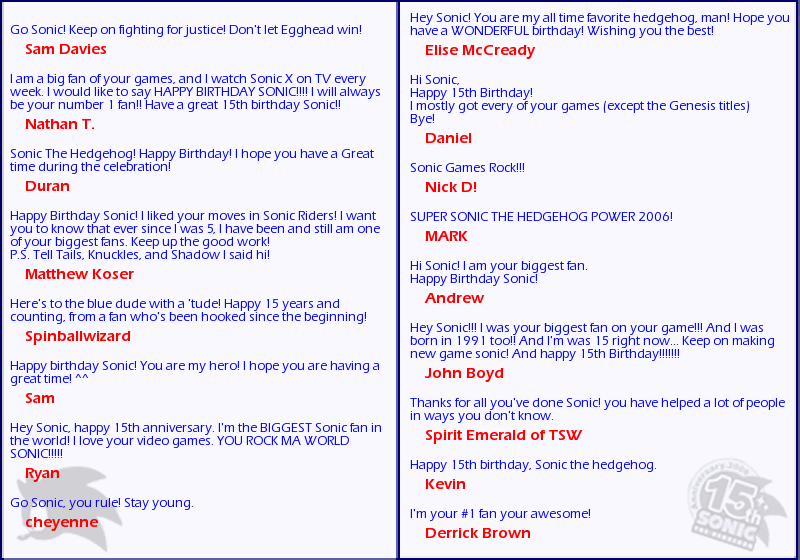 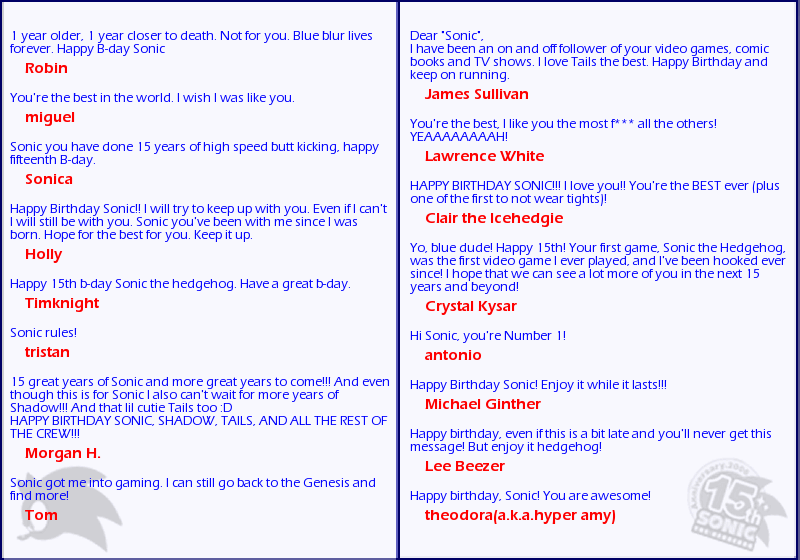 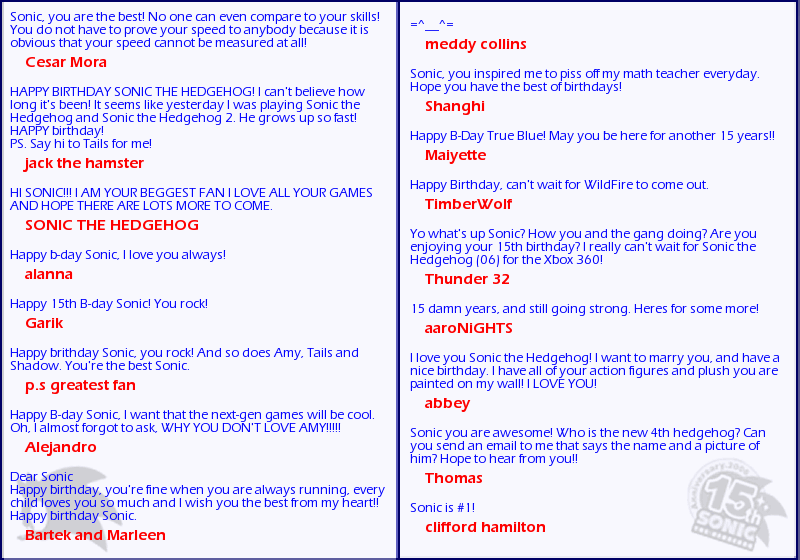 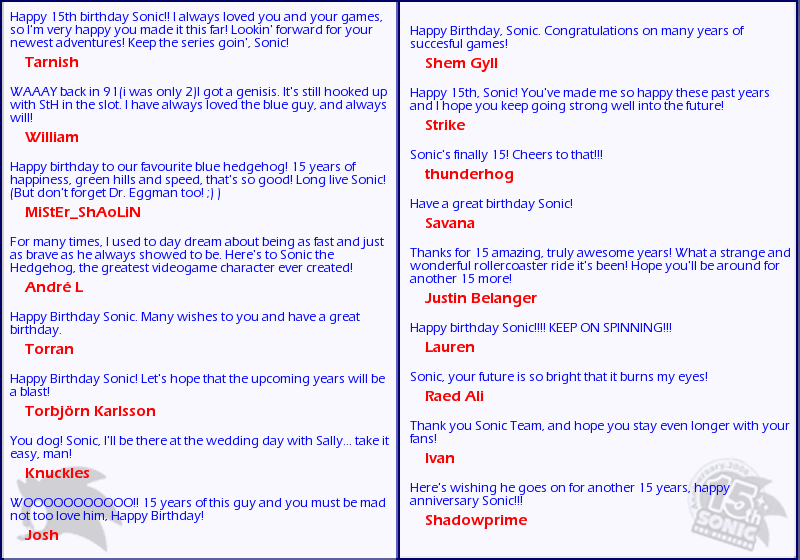 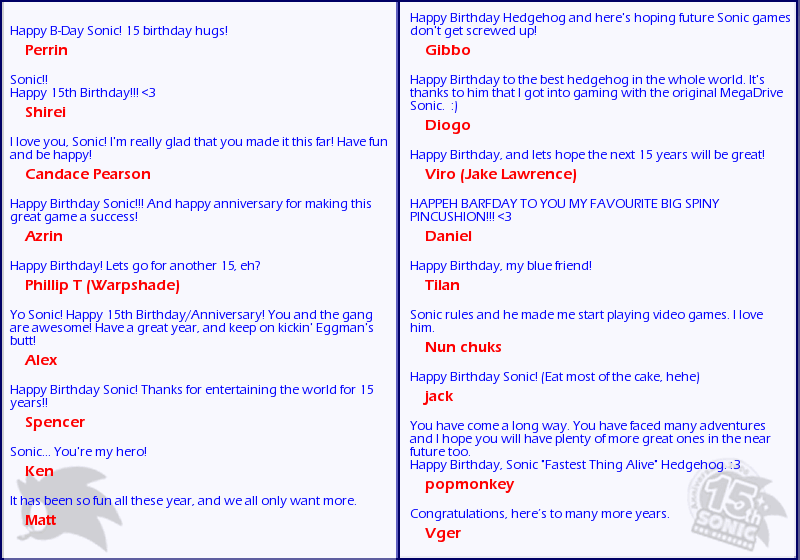 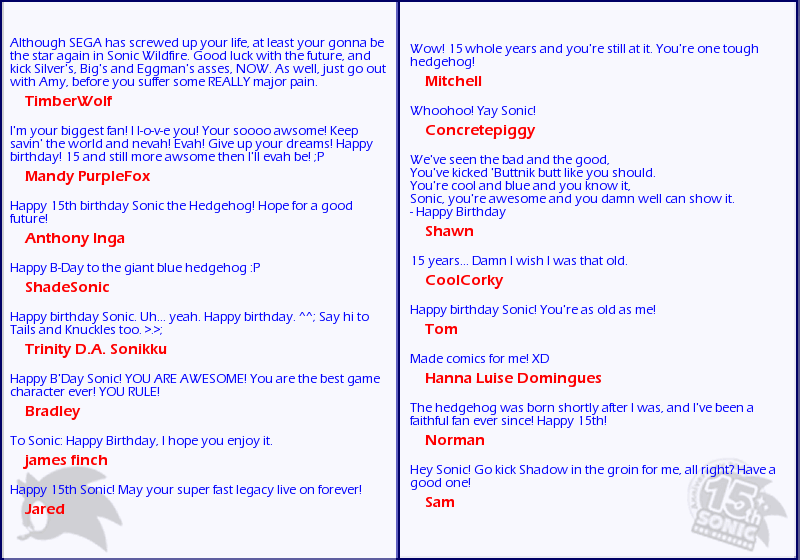 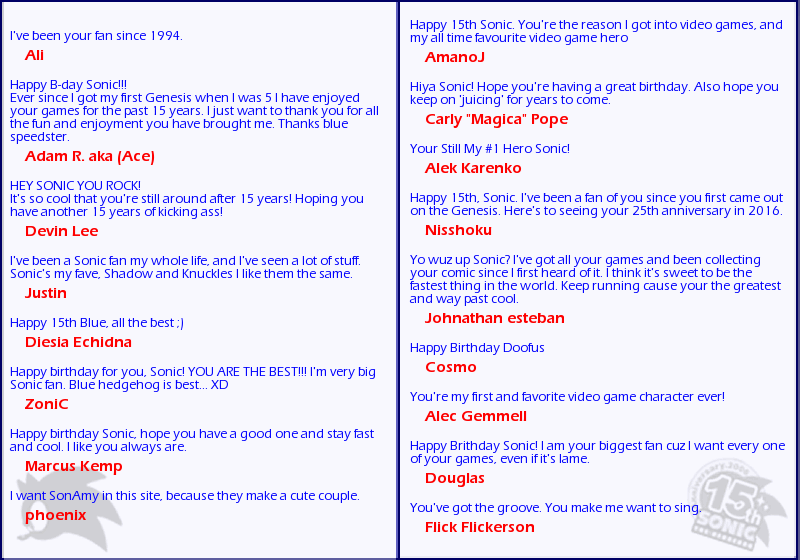 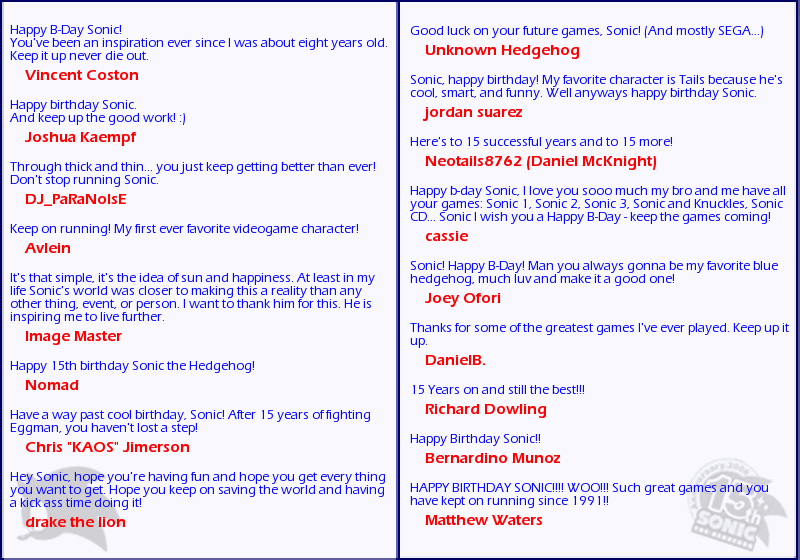 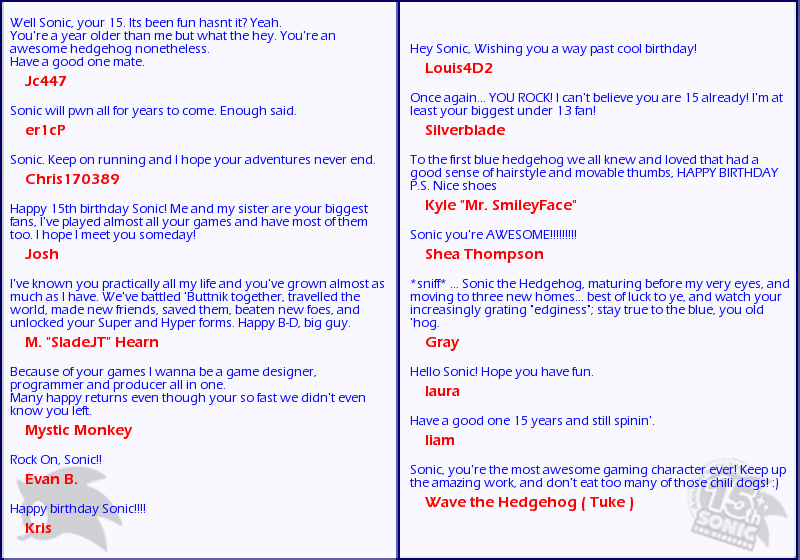 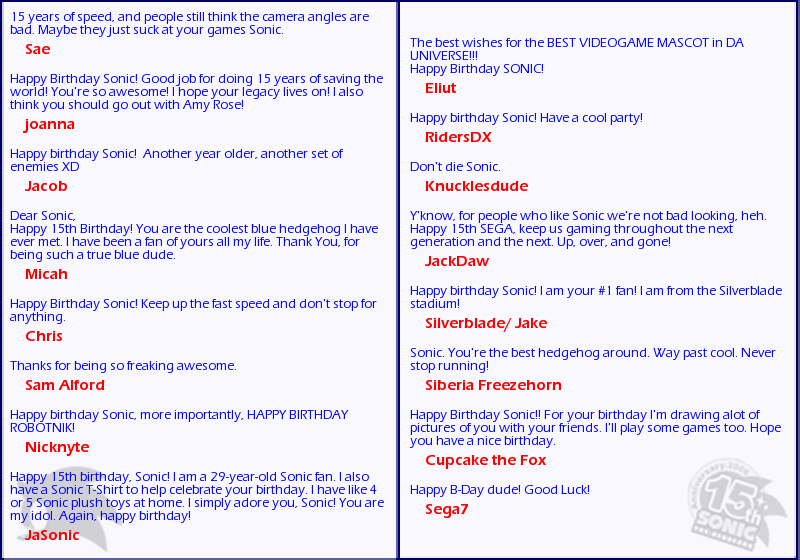 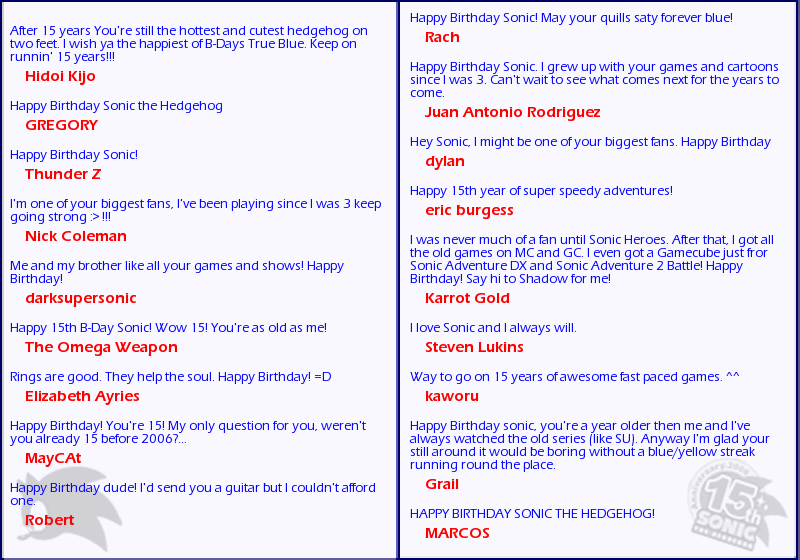 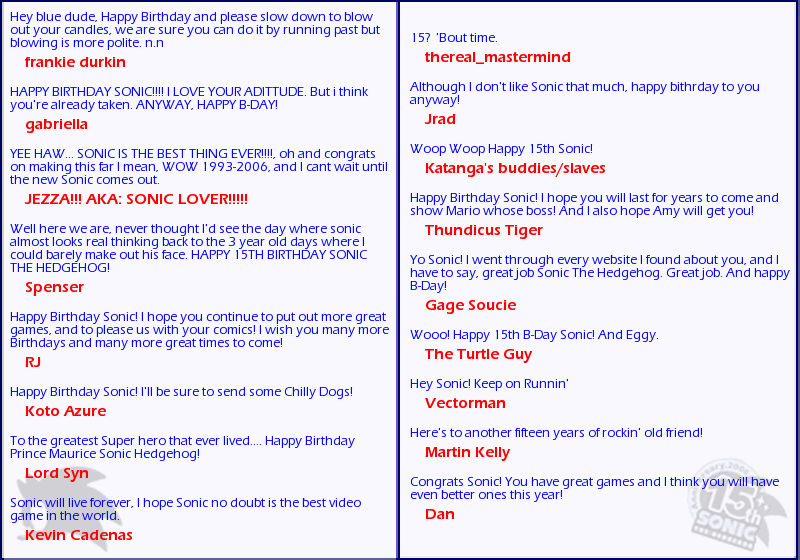 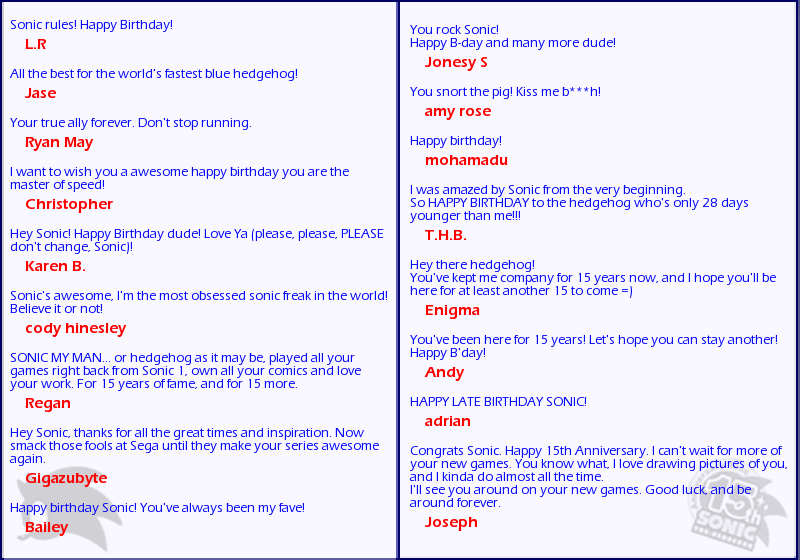 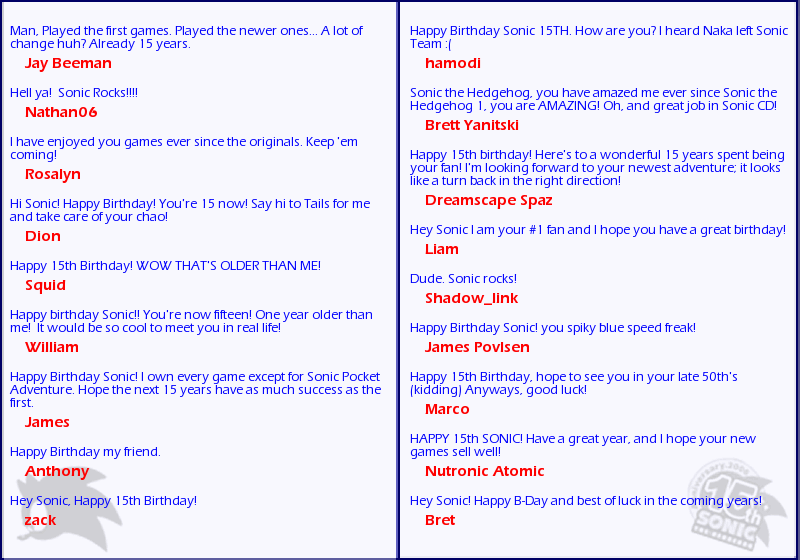 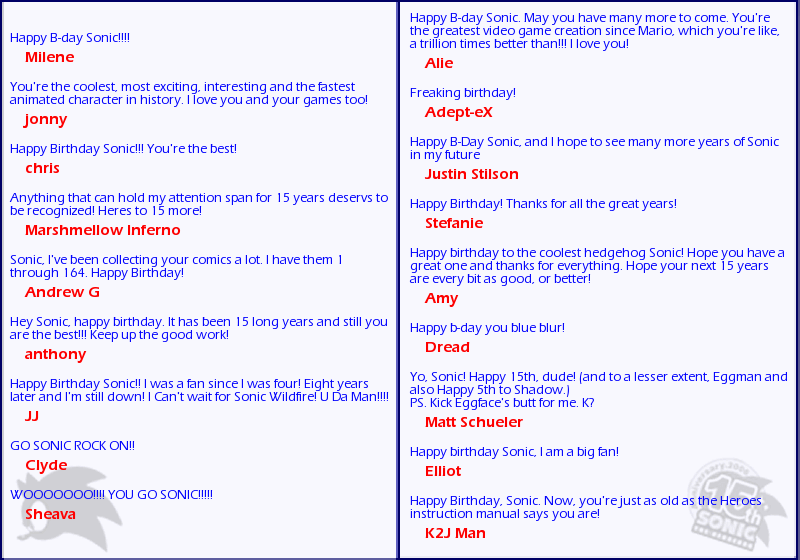 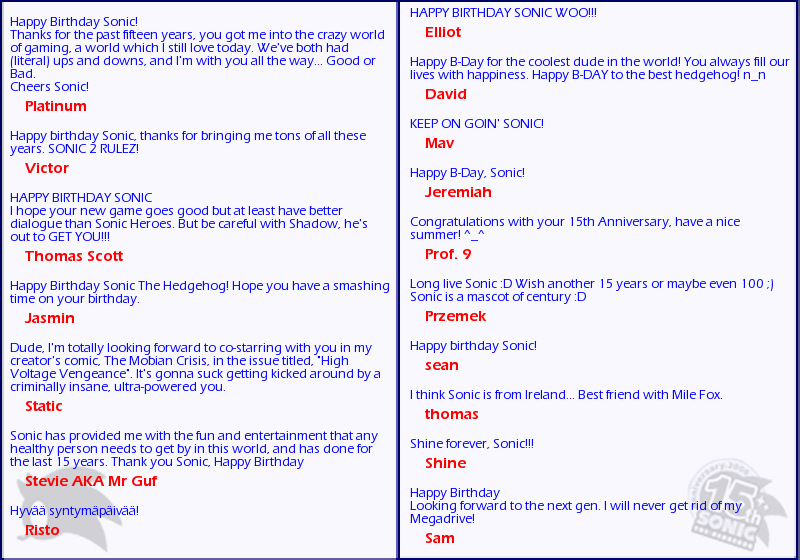 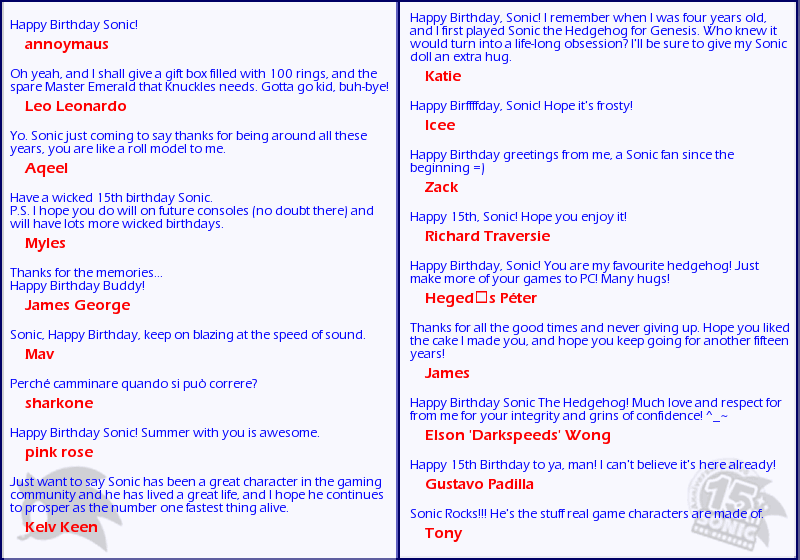 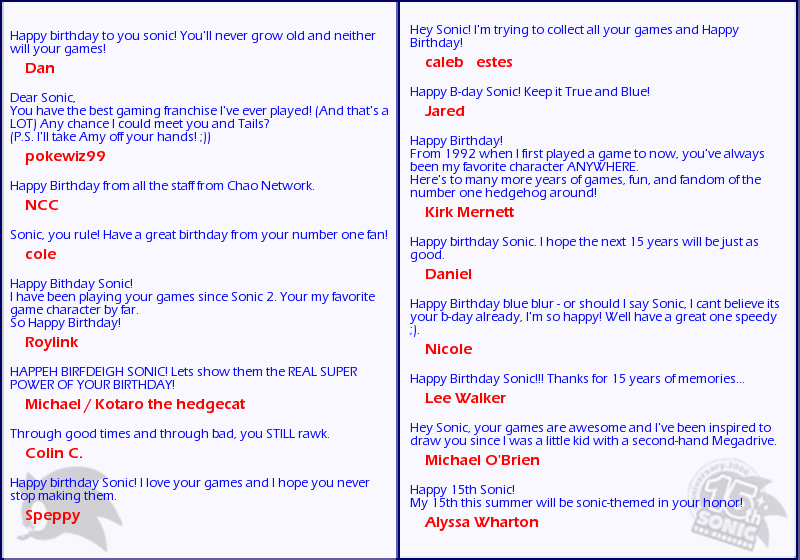 Sonic the Hedgehog's Birthday Card! 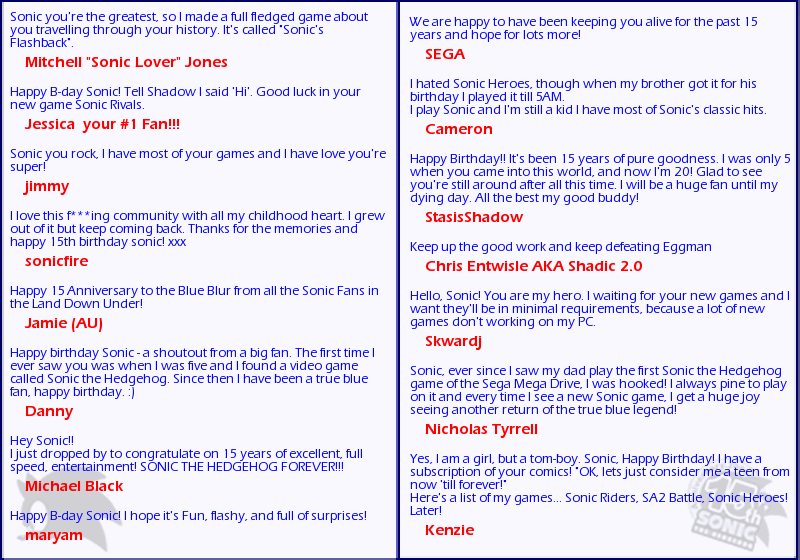 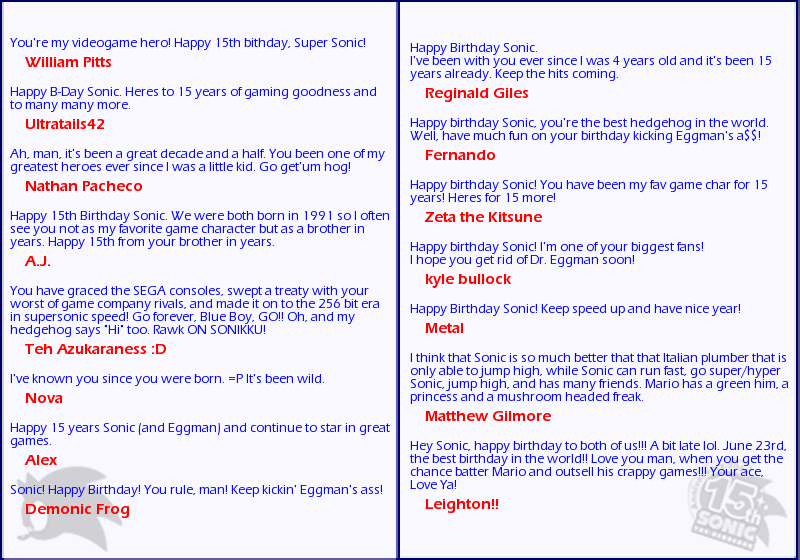 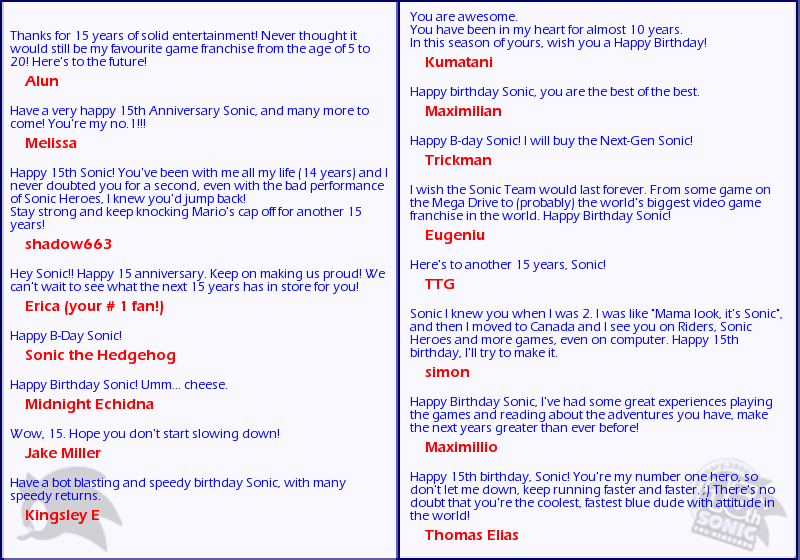 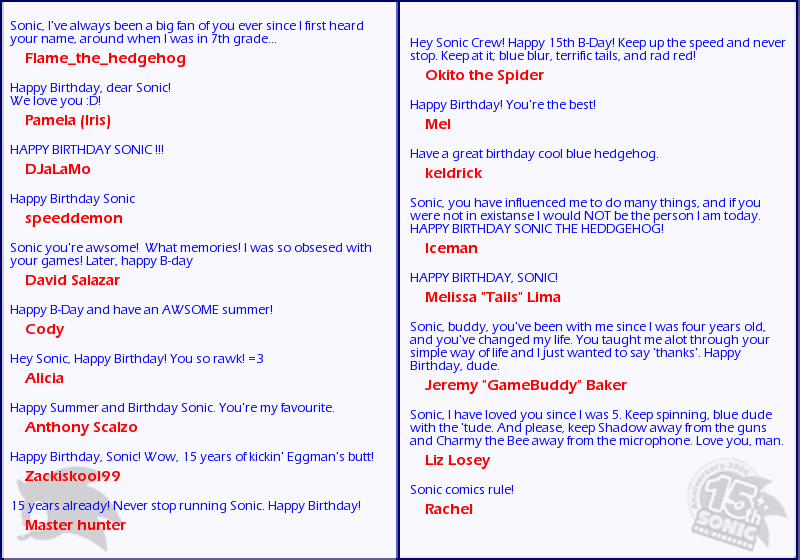 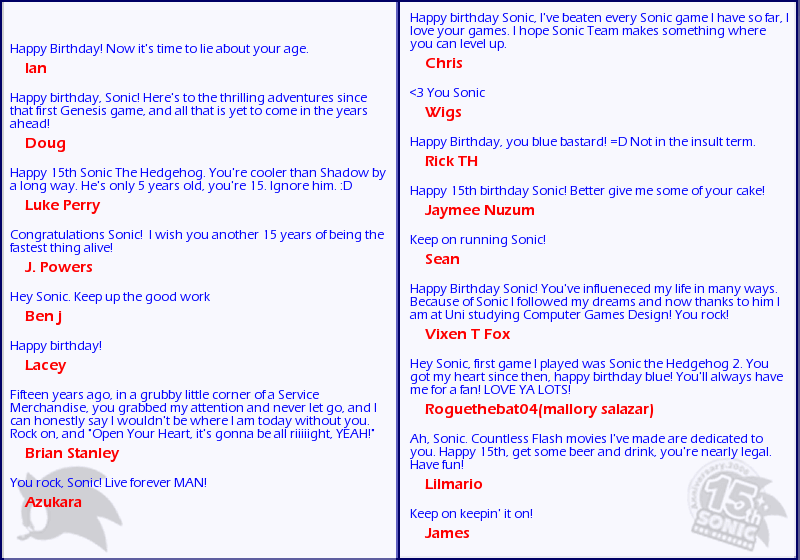 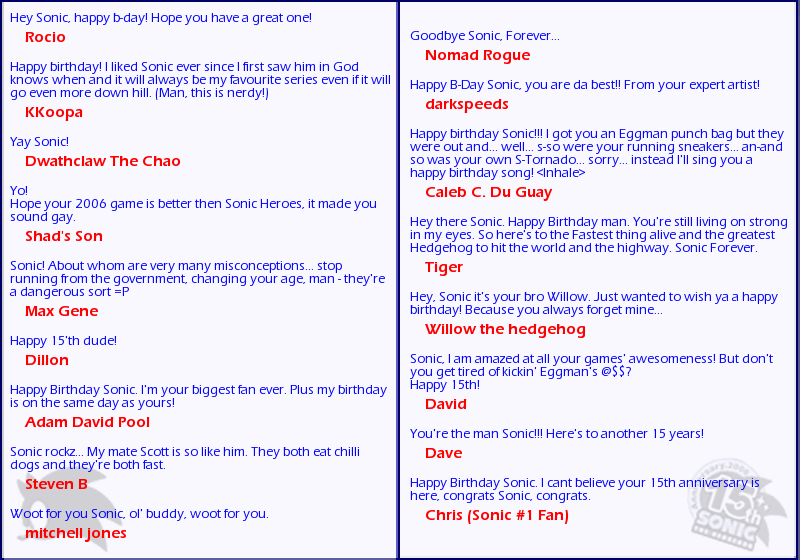 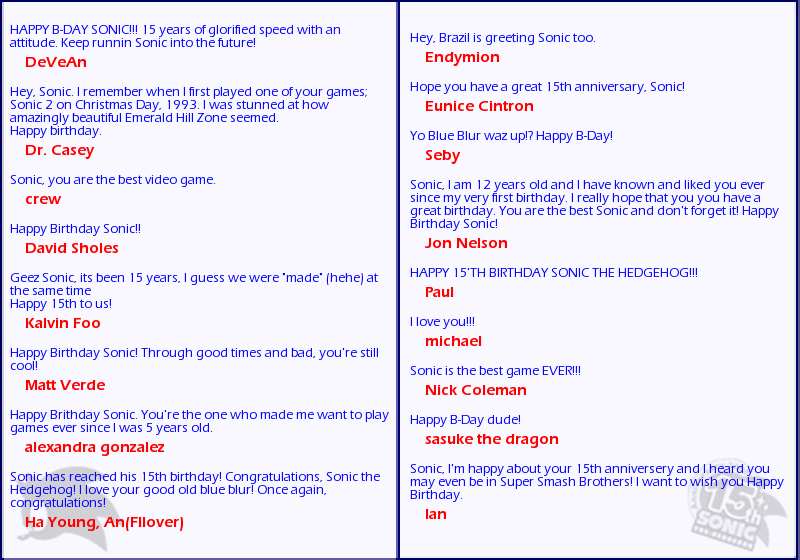 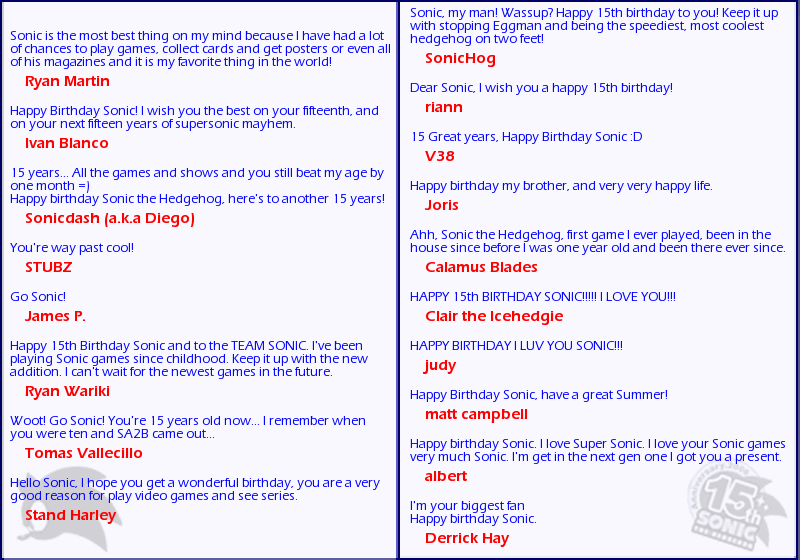 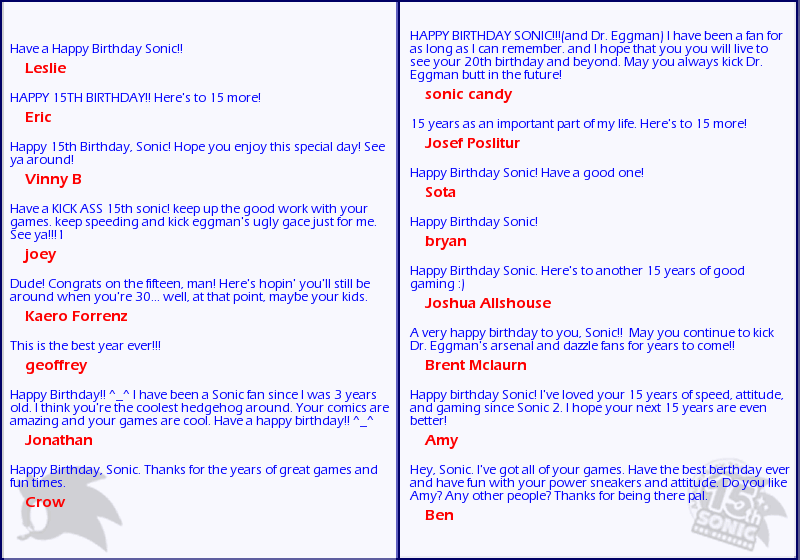 "Sonic the Hedgehog is a fictional character, why does he need a birthday card, and why should we sign it for him?" 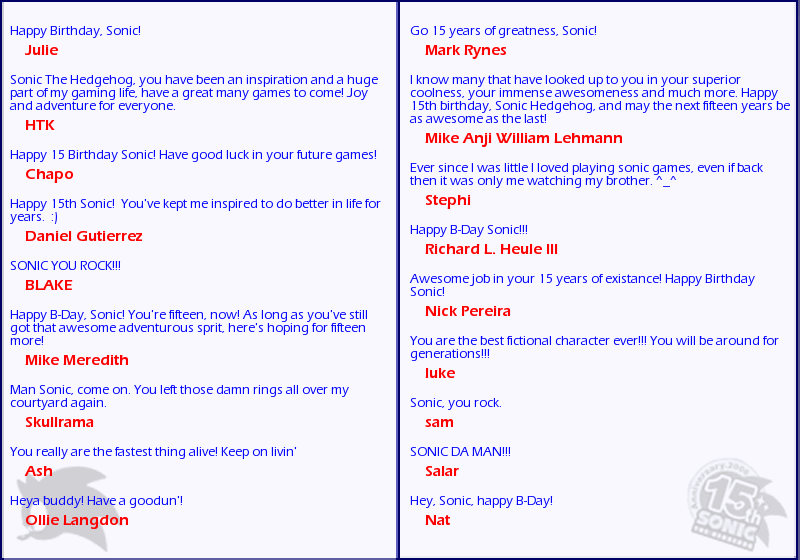 DO YOU HAVE NO SOUL, MAN? 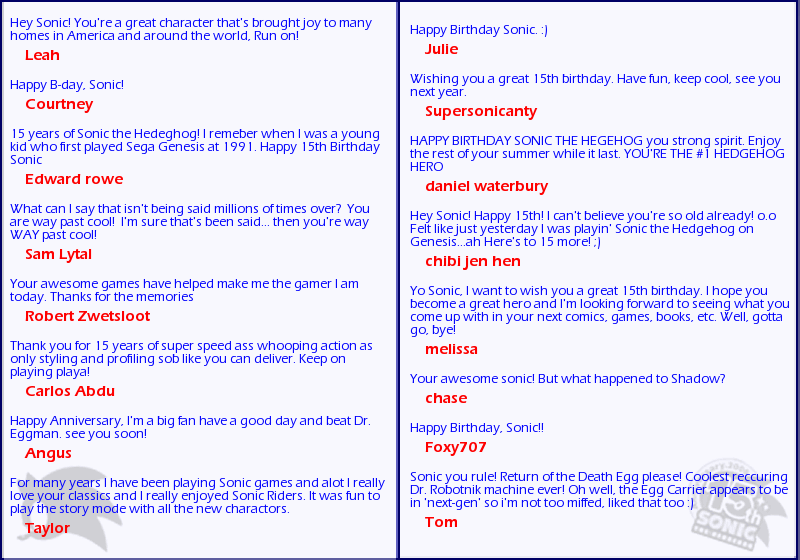 For those who adored Sonic since they were a kid and still find the series exciting (or even going downhill), they would kill to meet him if he was real - if not to hug him then the thump him in the eye for his Sonic Heroes dialogue. 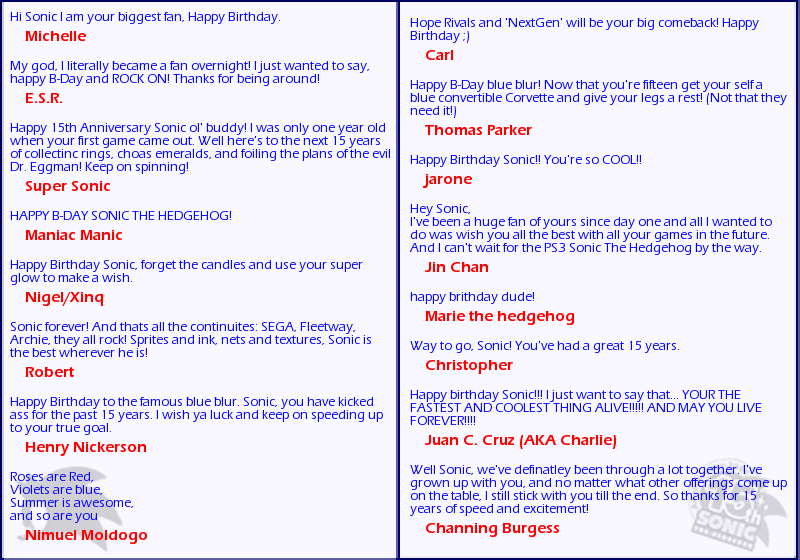 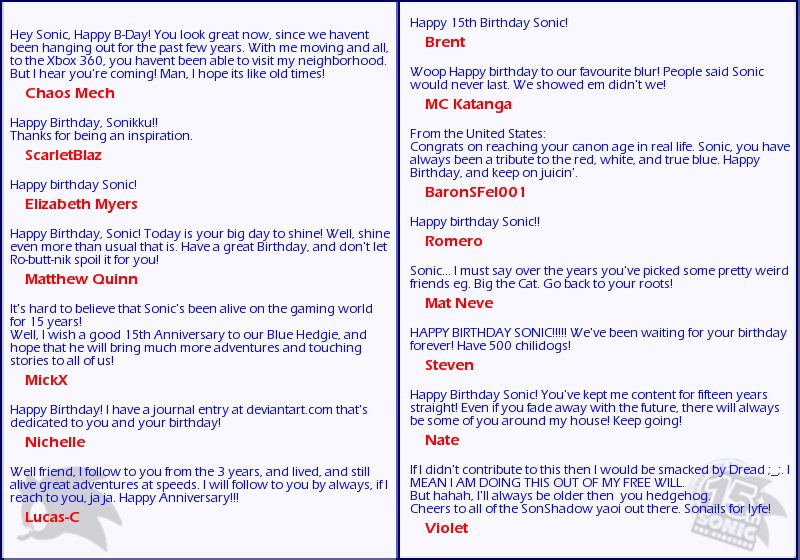 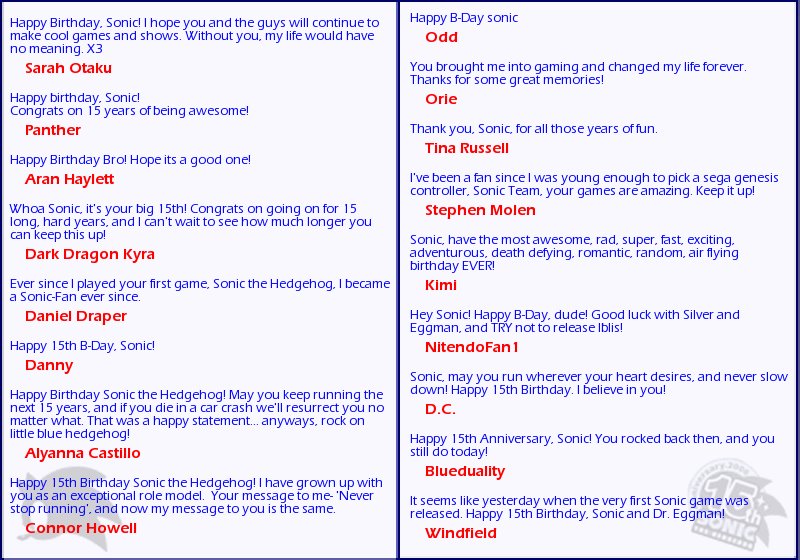 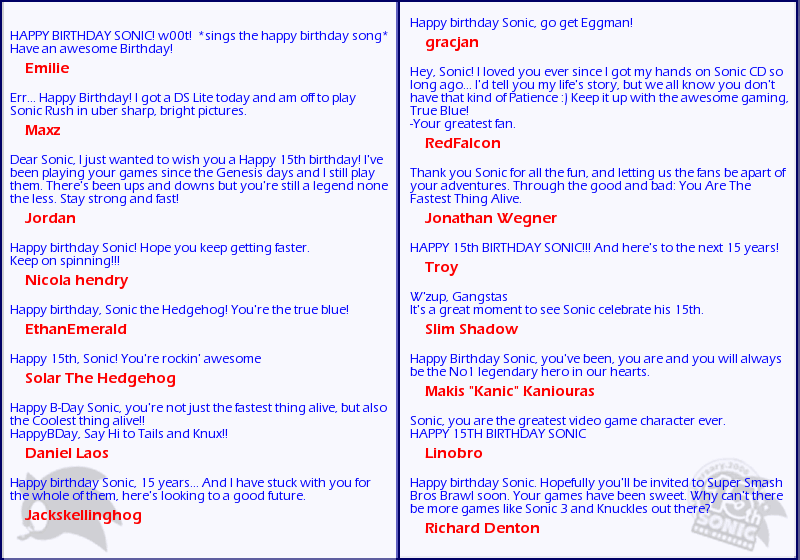 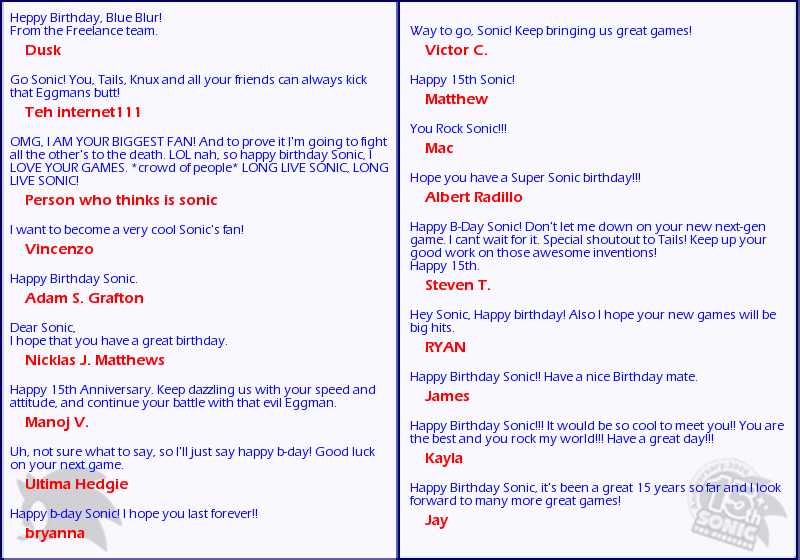 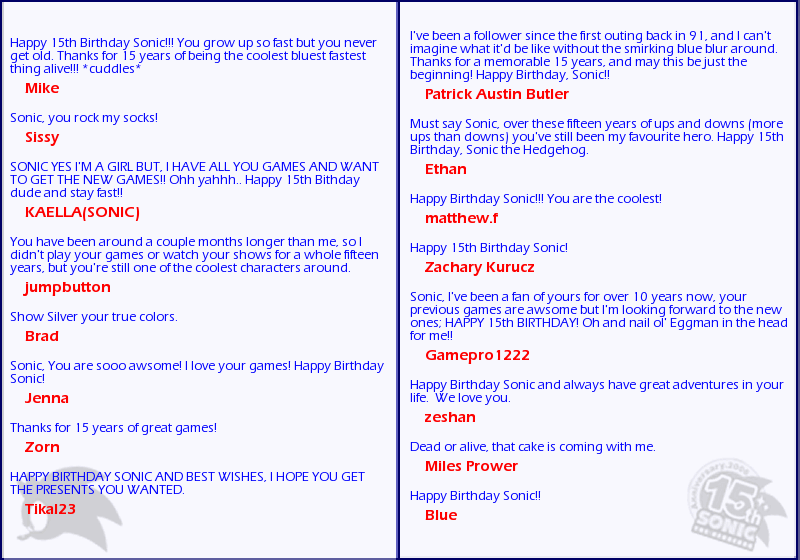 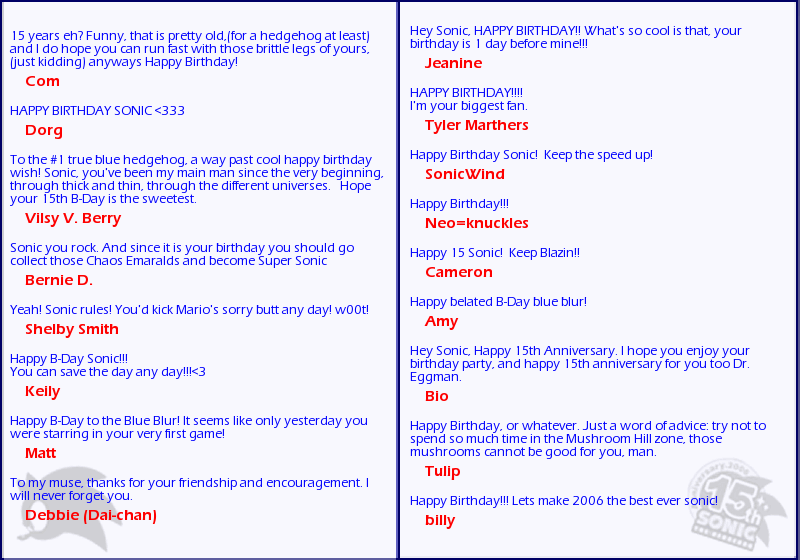 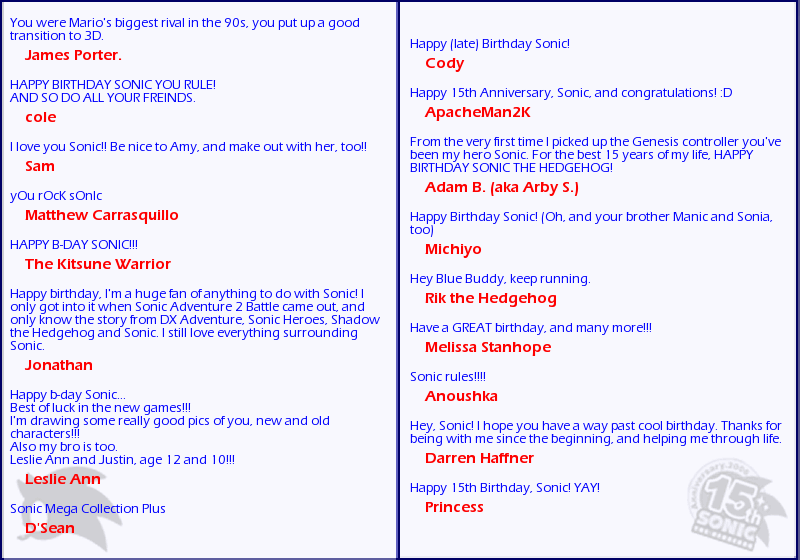 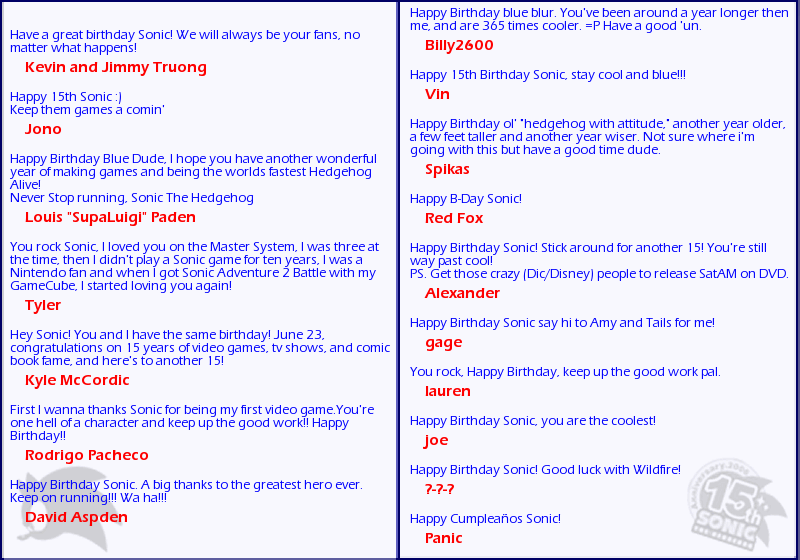 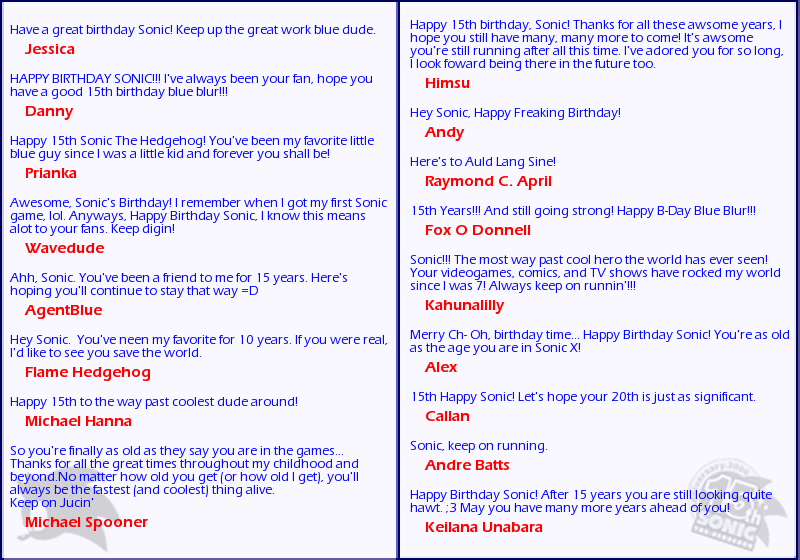 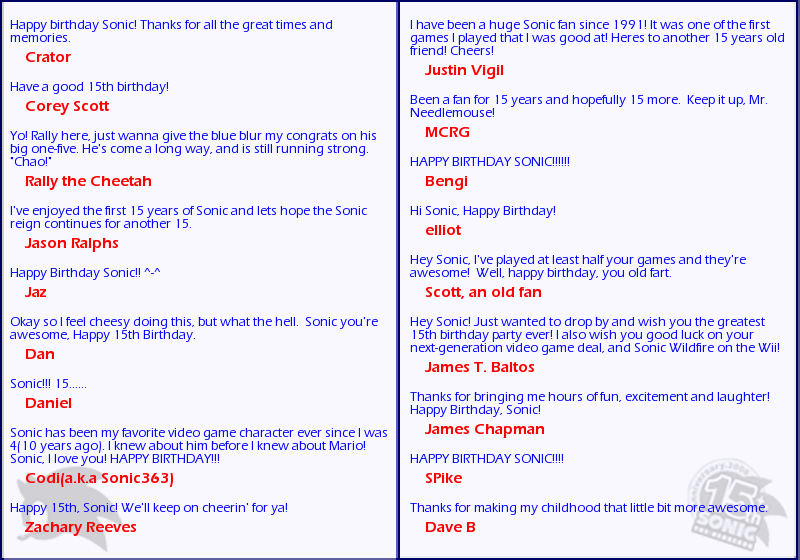 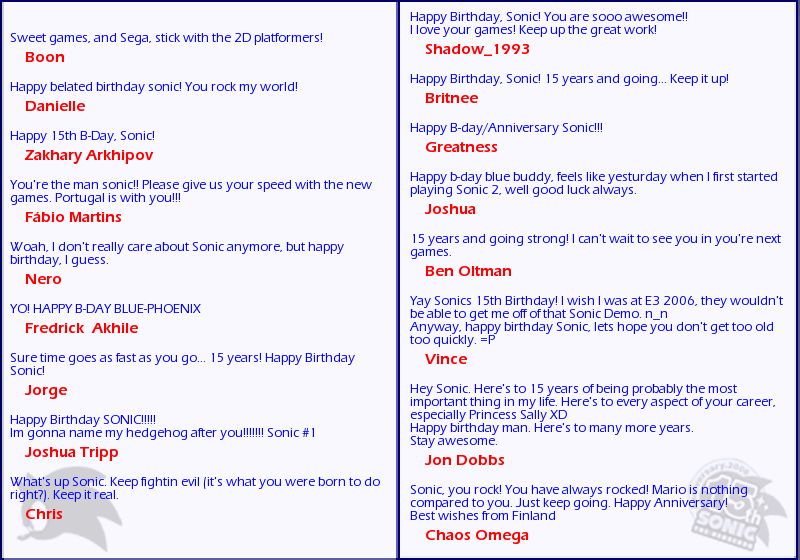 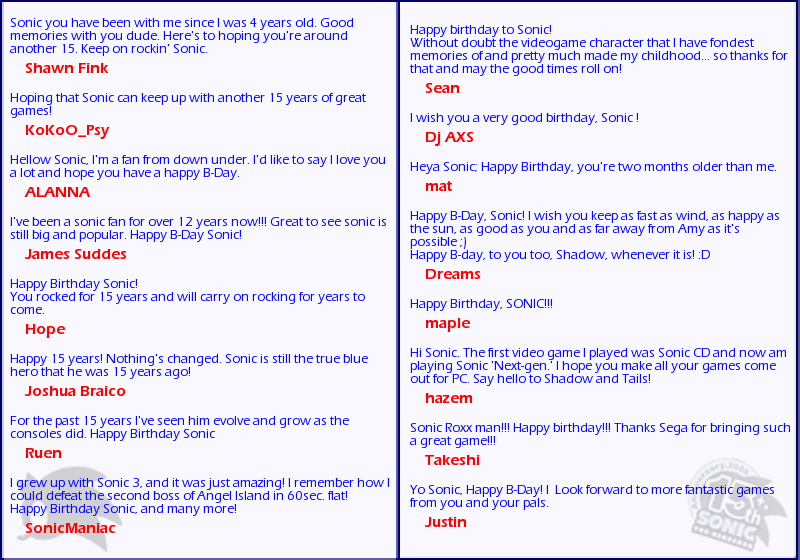 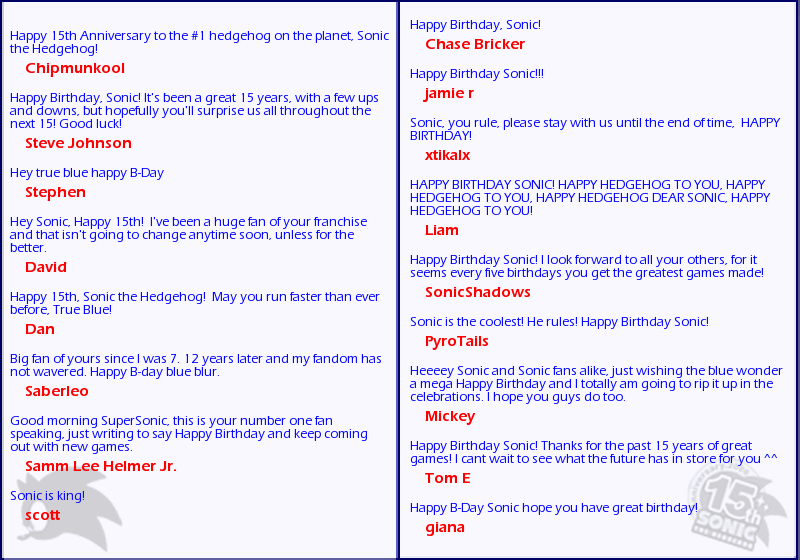 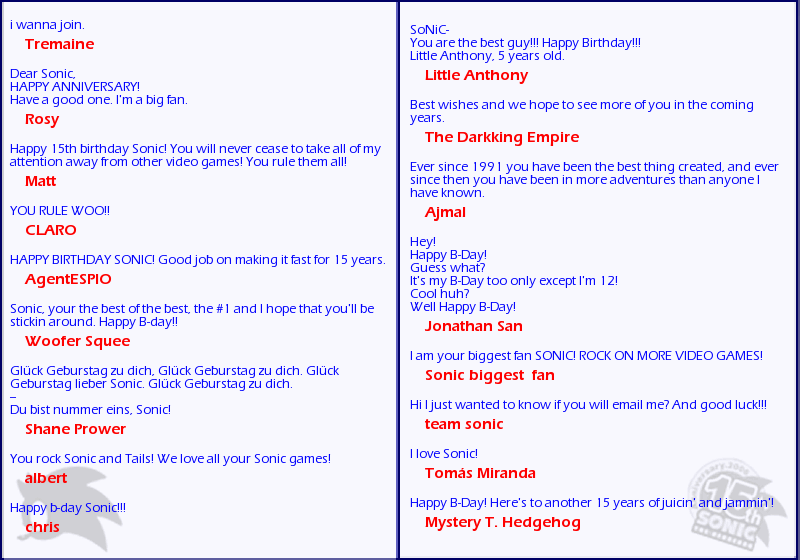 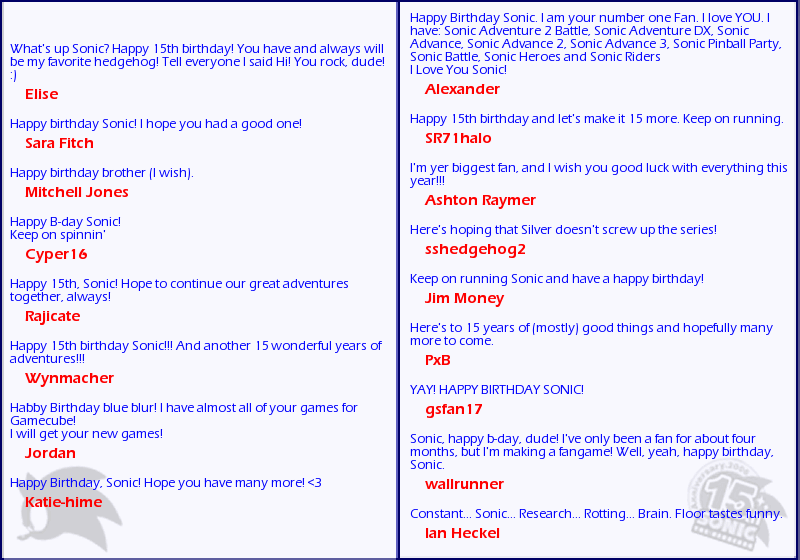 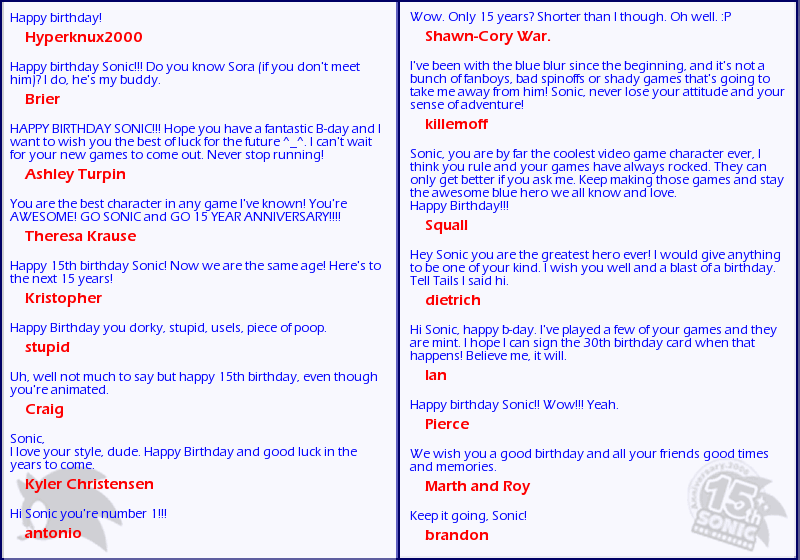 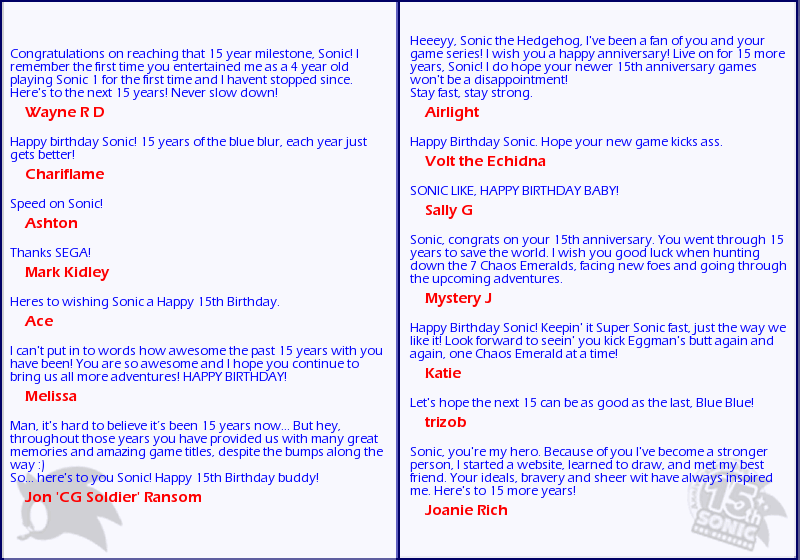 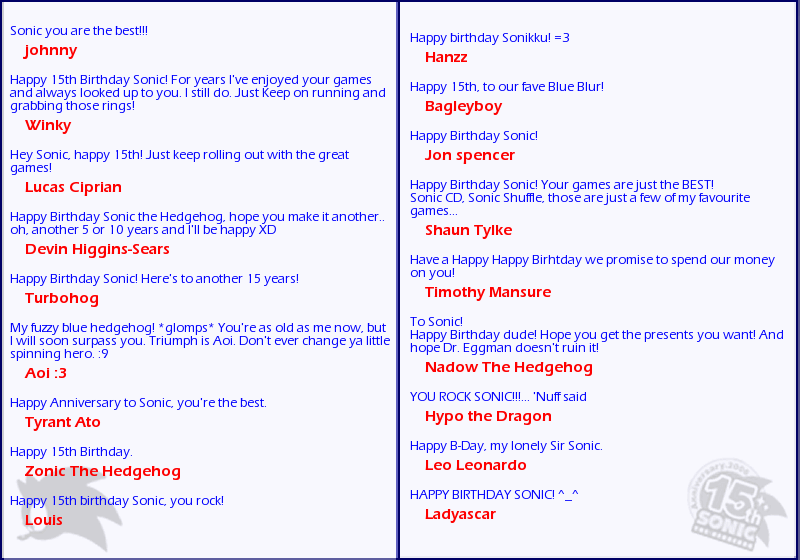 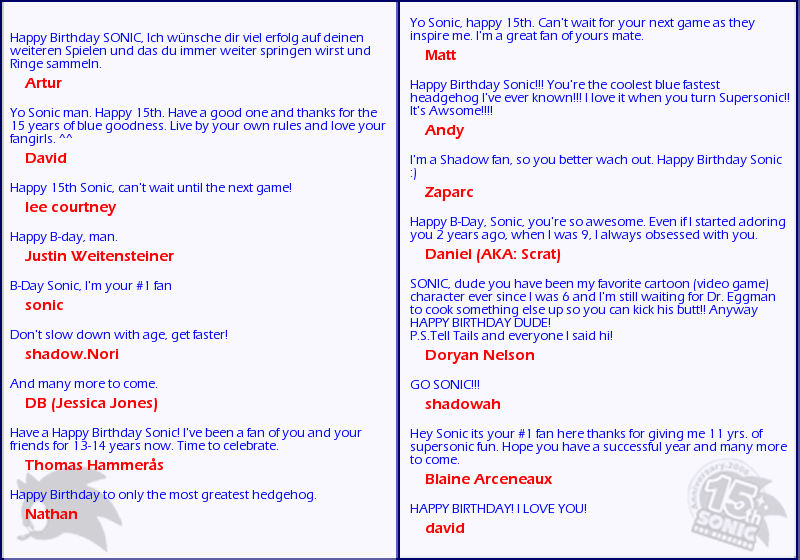 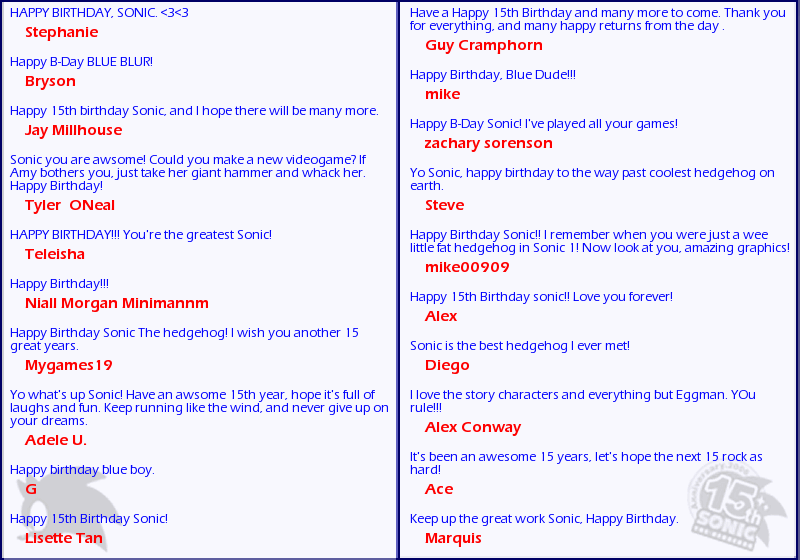 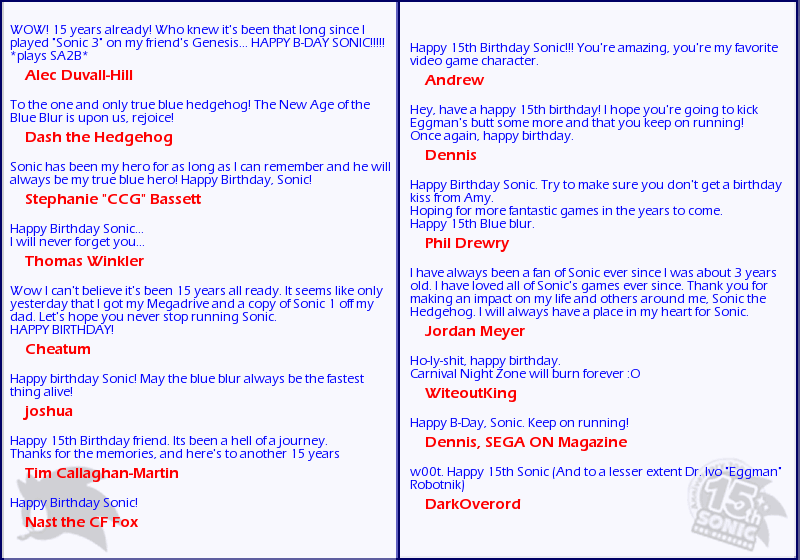 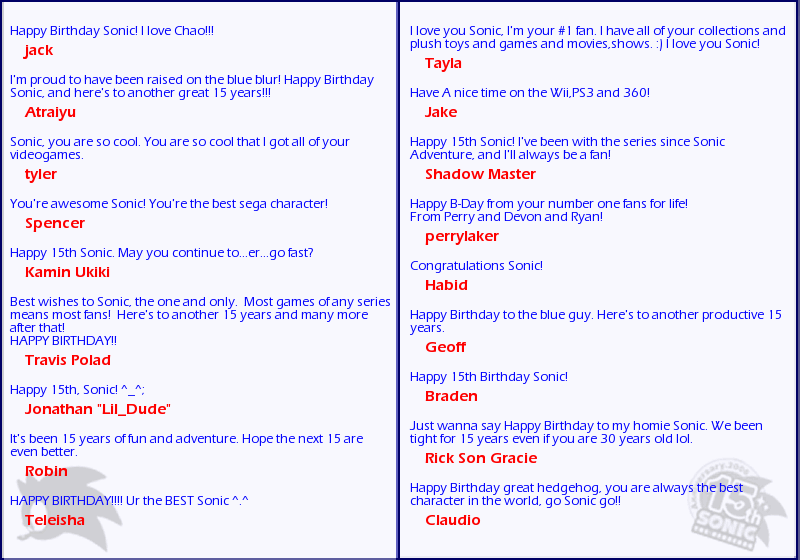 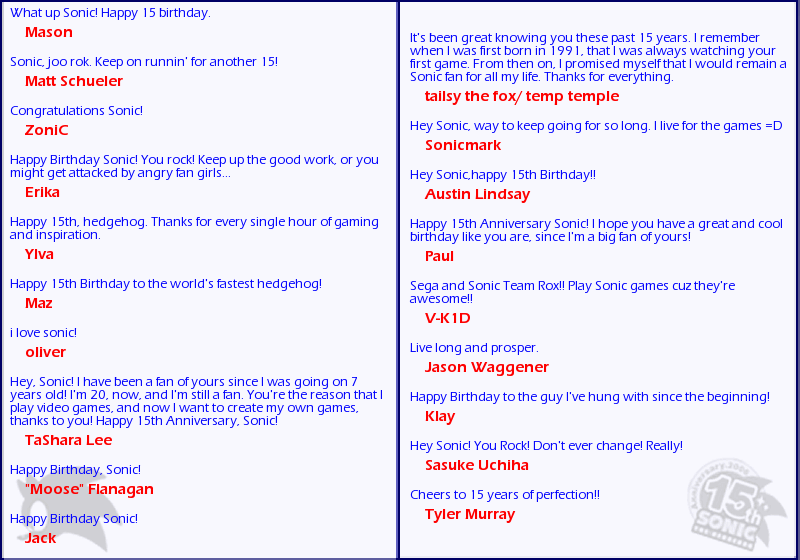 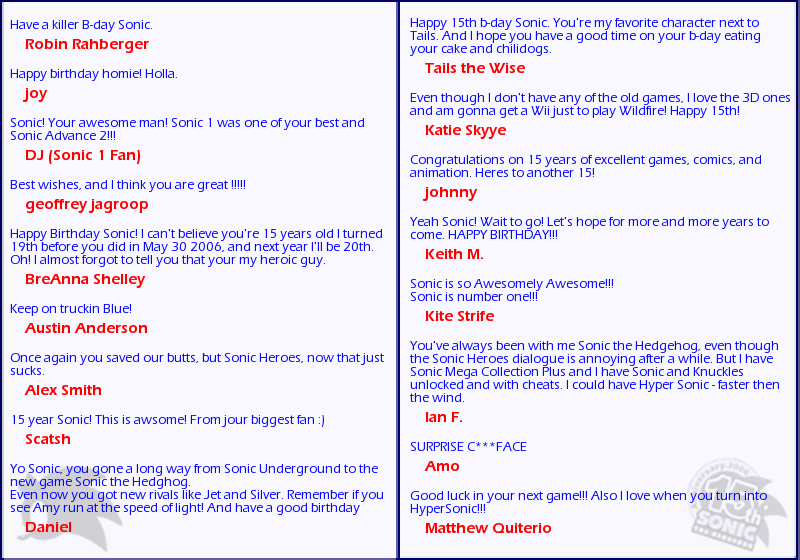 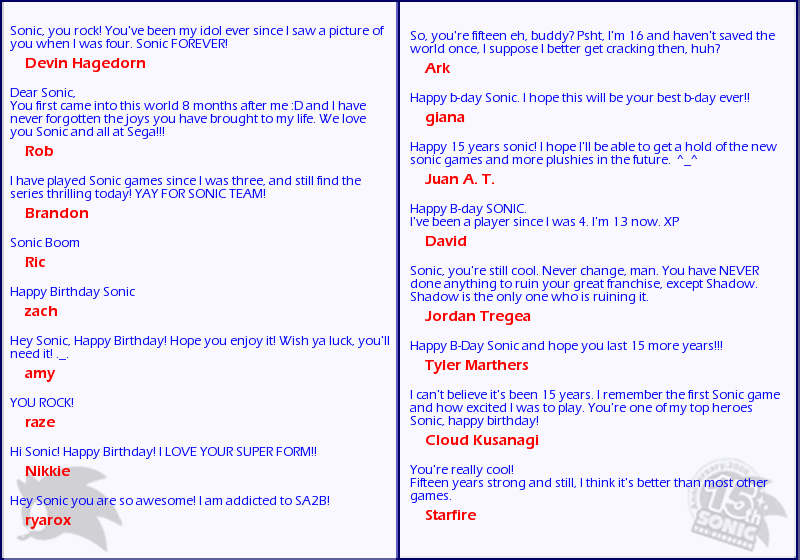 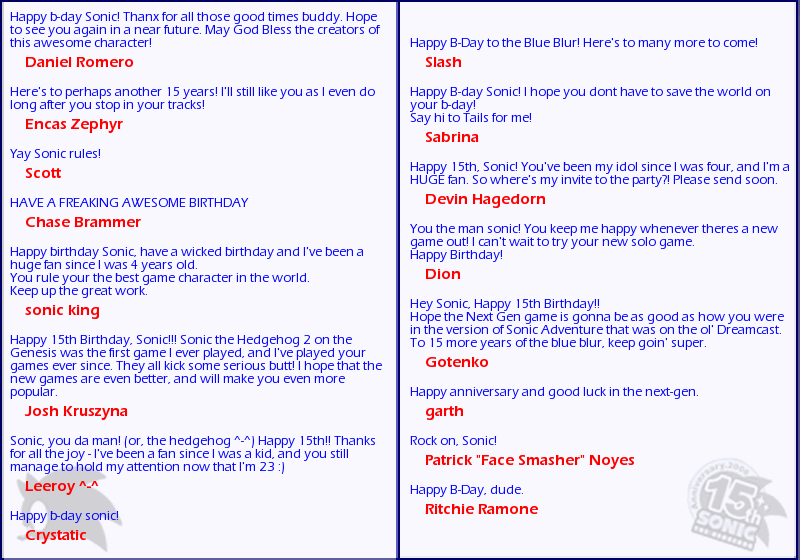 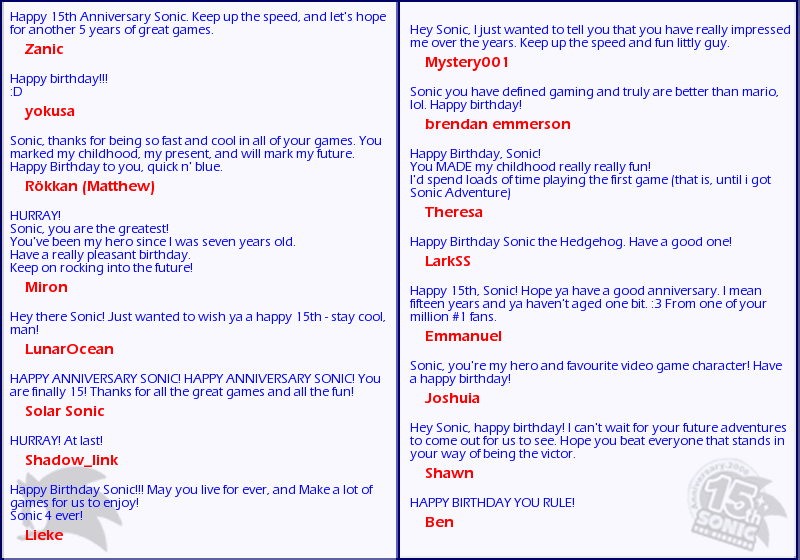 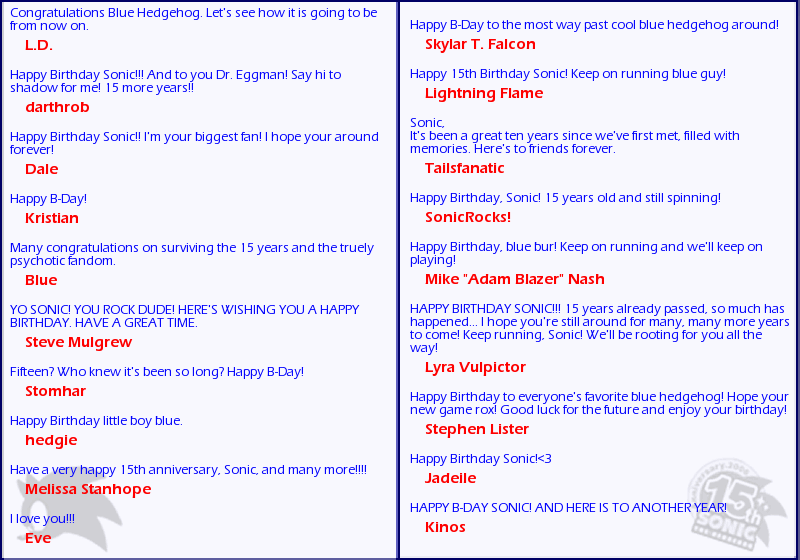 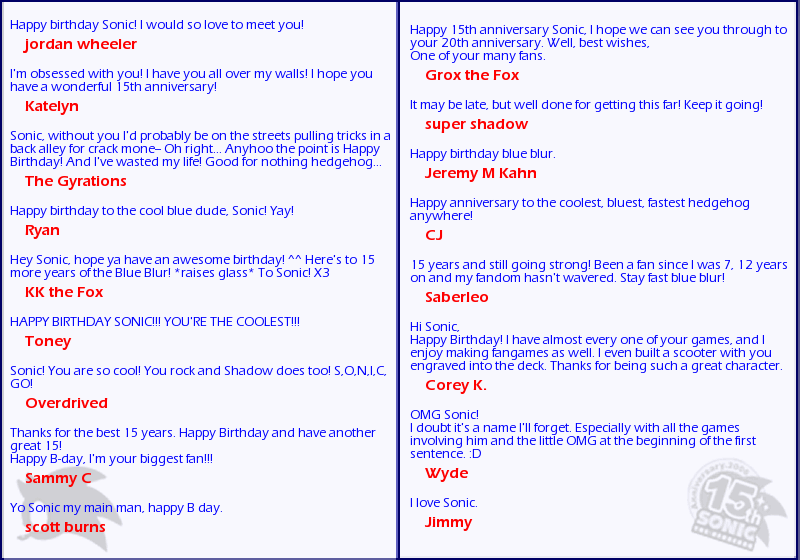 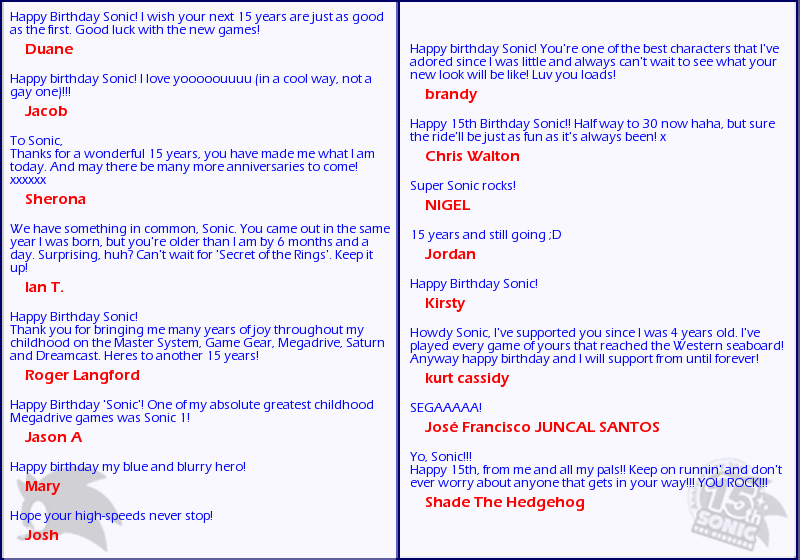 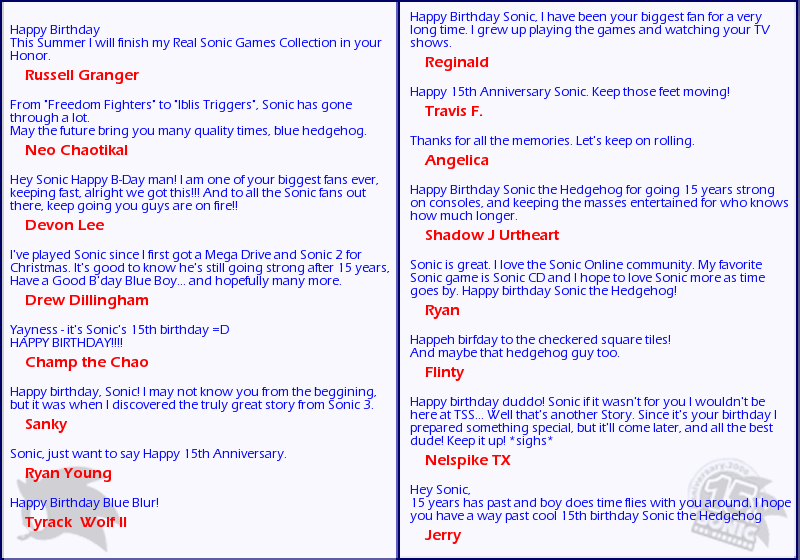 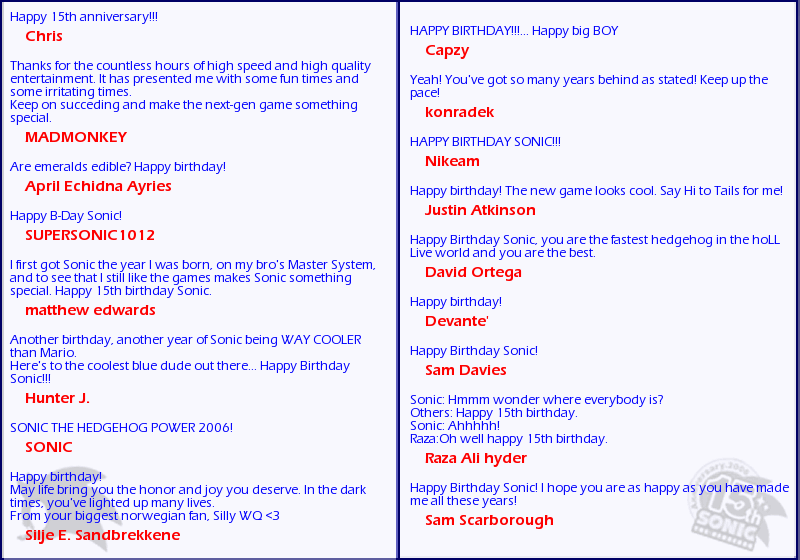 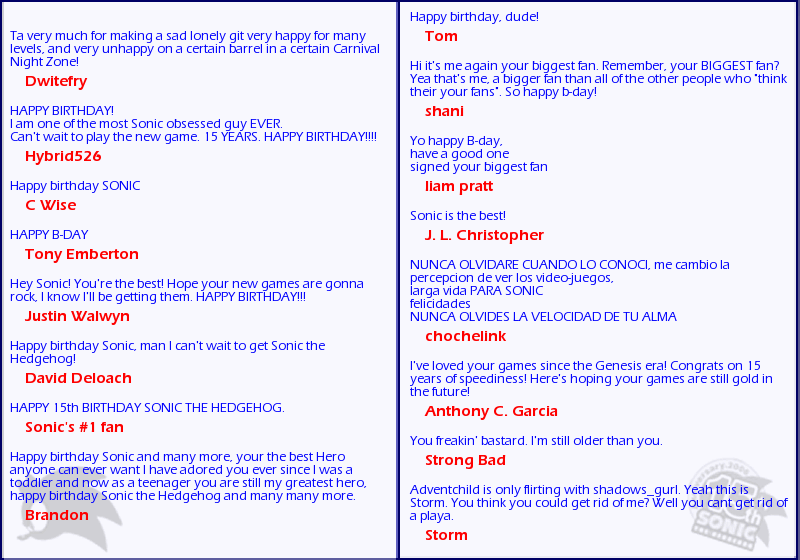 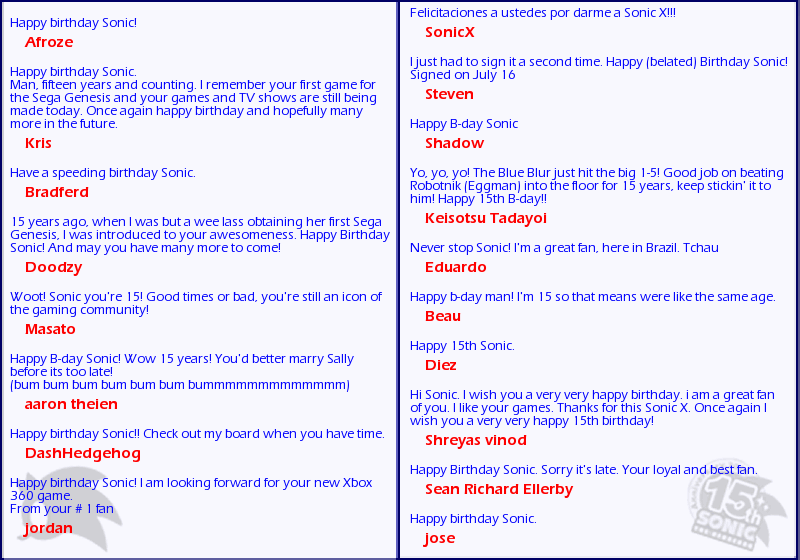 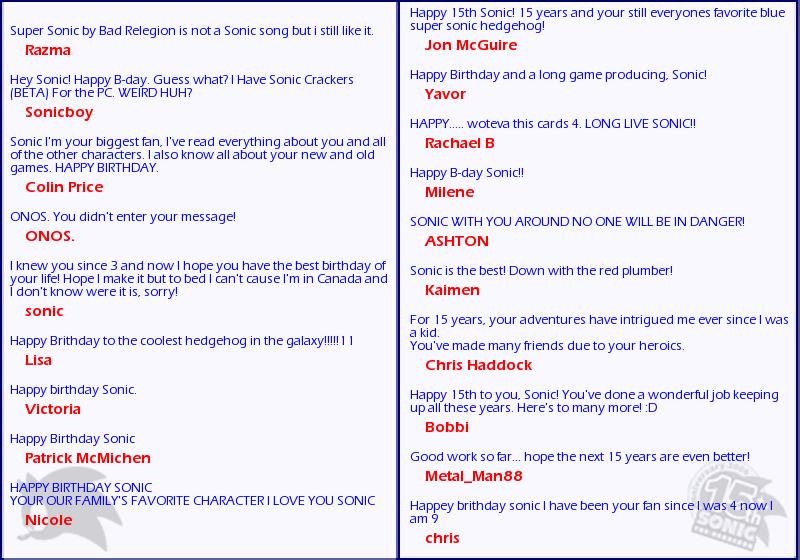 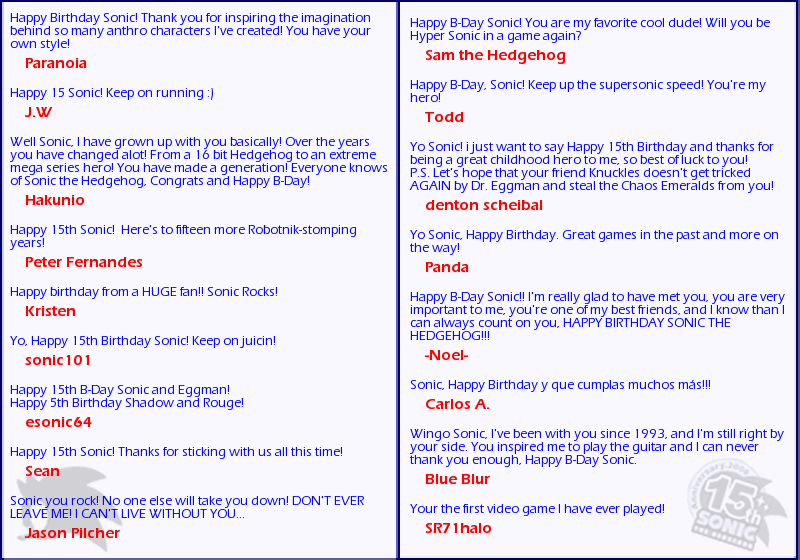 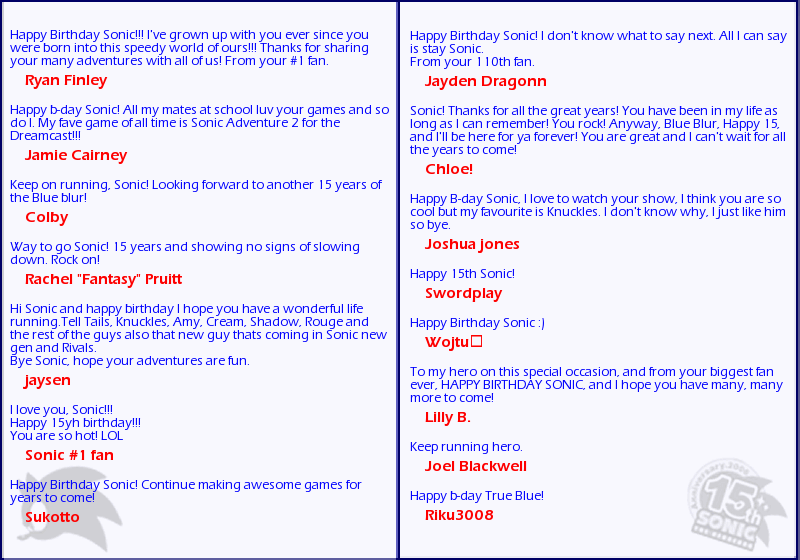 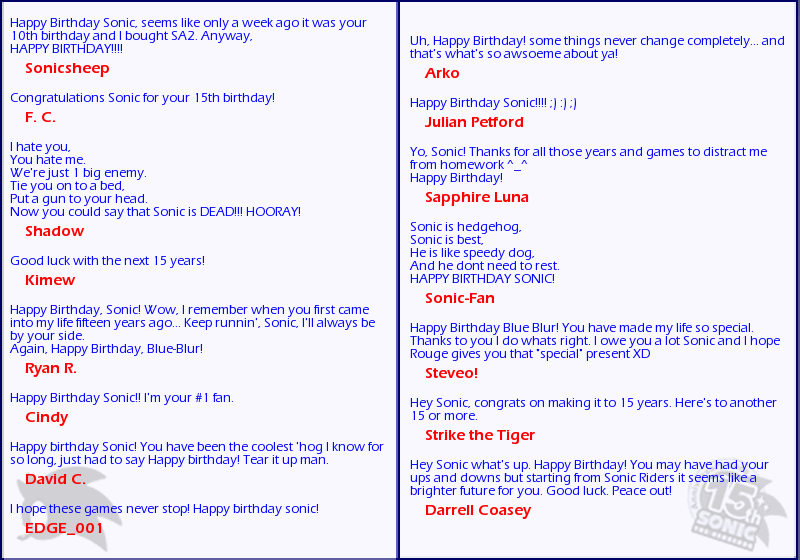 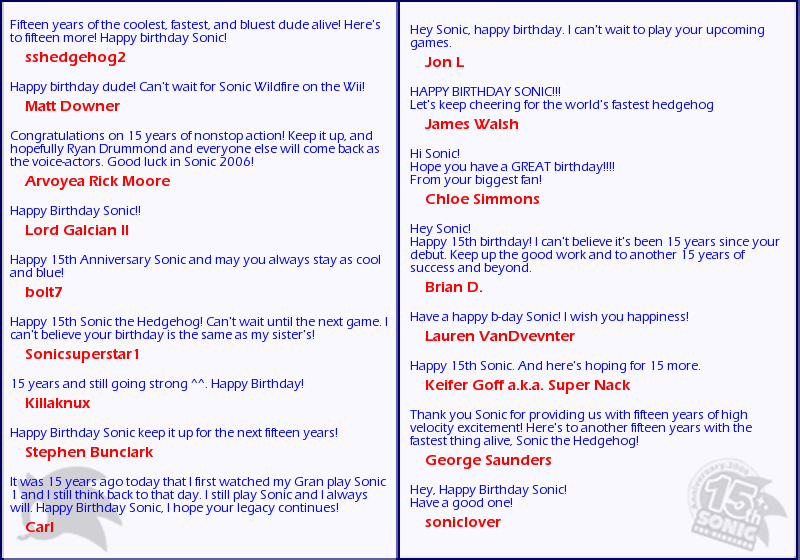 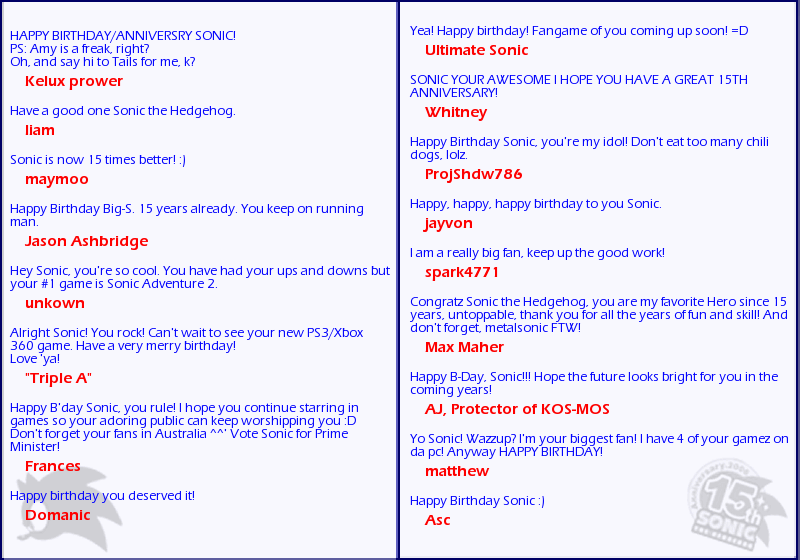 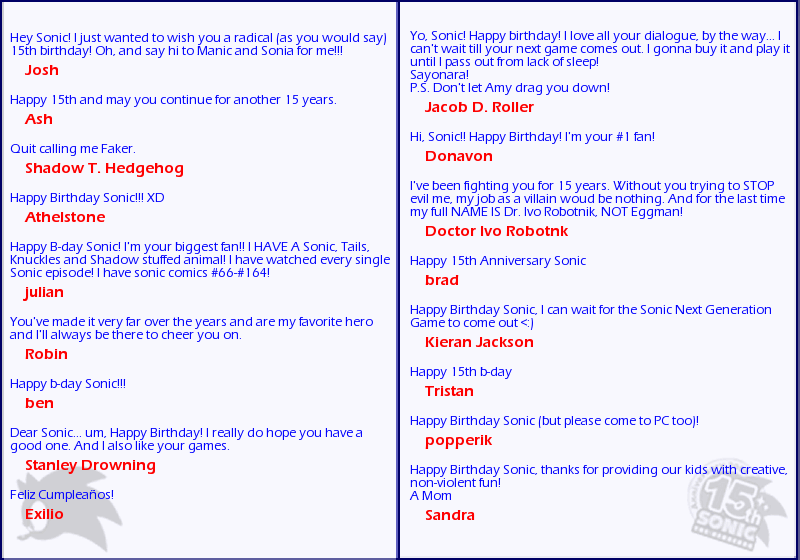 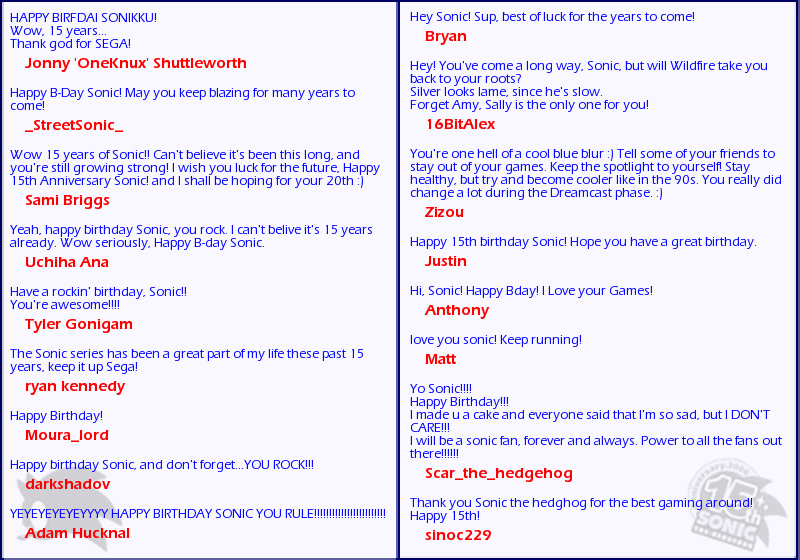 Either way, they have made their mark on this landmark event by wishing Sonic a Happy Birthday. 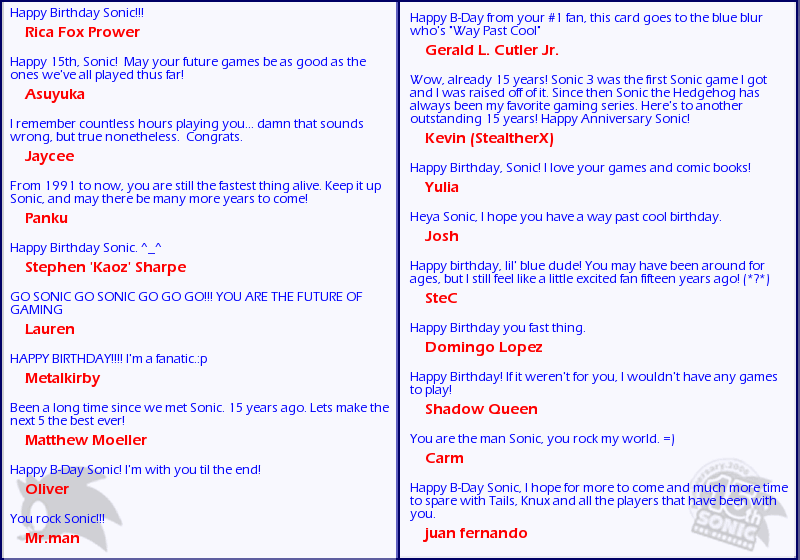 You can view the cards and see what people wrote yourself! 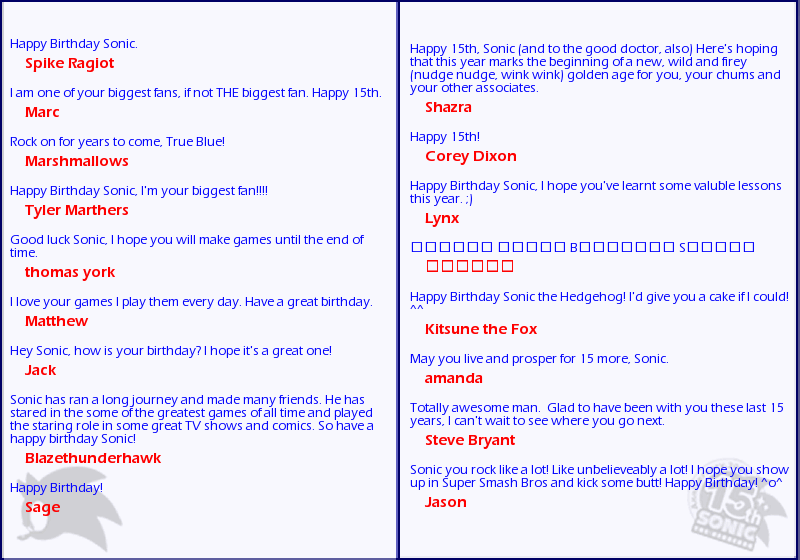 Select a number in the left hand side navigation bar to select a card. 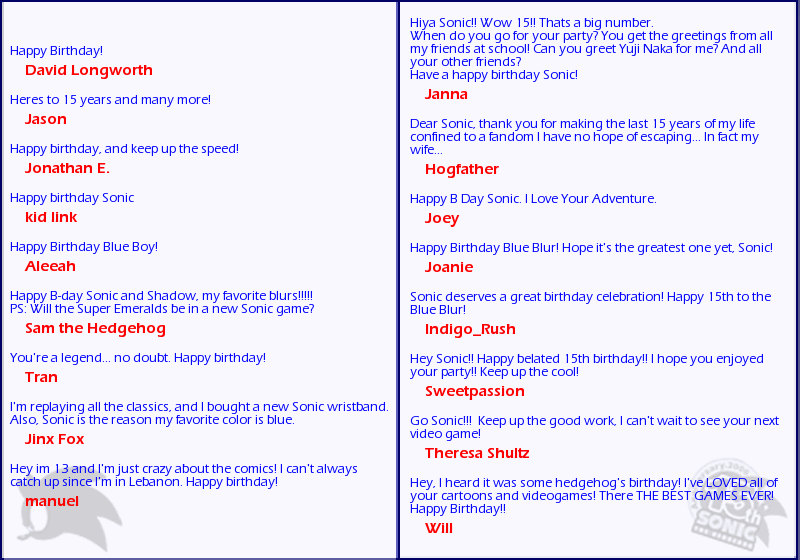 Each card will have many different signatures within them. 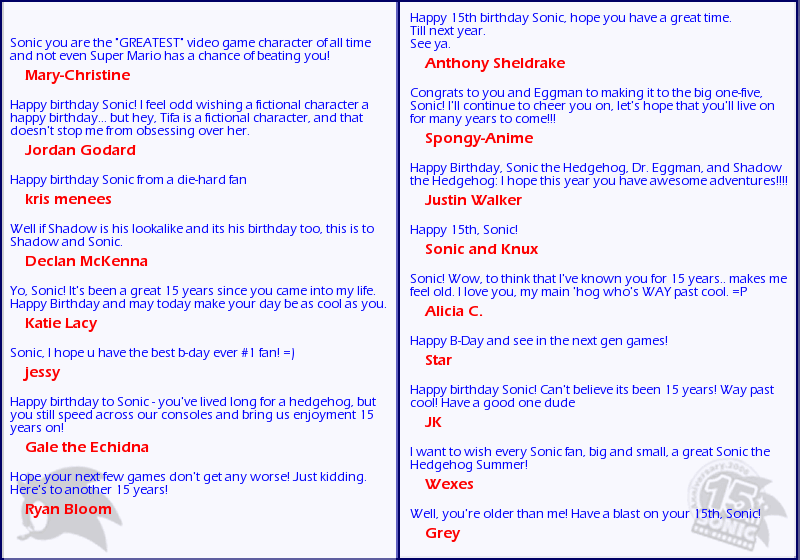 See all the funny and wacky comments people have made for their favourite video game character!